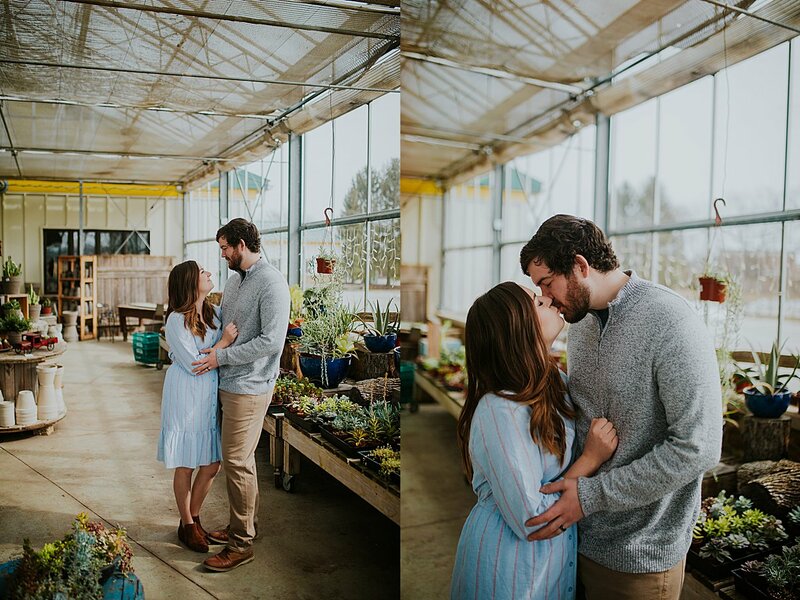 Greenhouse sessions are my new fav. 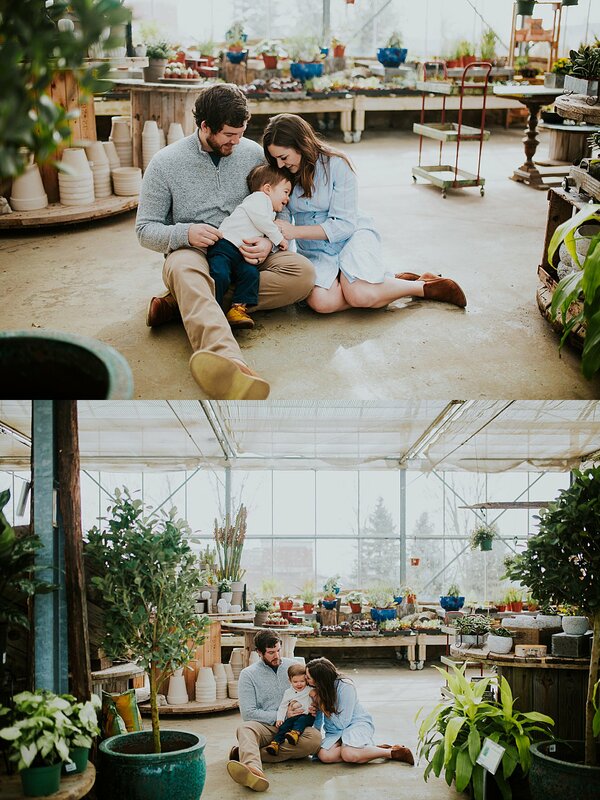 Not only do they allow us an “outdoor” atmosphere with the benefits of an indoor environment, but they allow us to do sessions during almost anytime of day since most greenhouses offer the perfect amount of shade. 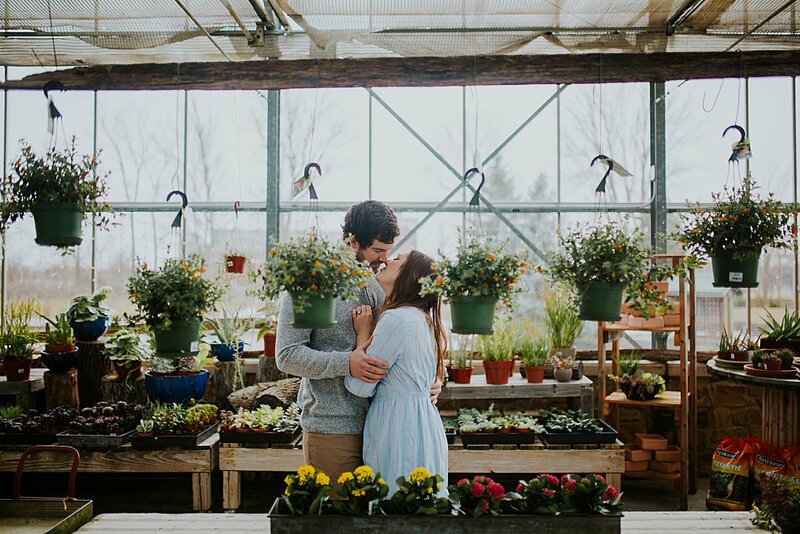 Altum’s Greenhouse in Zionsville kindly allows photographers to use their gorgeous space upon request. 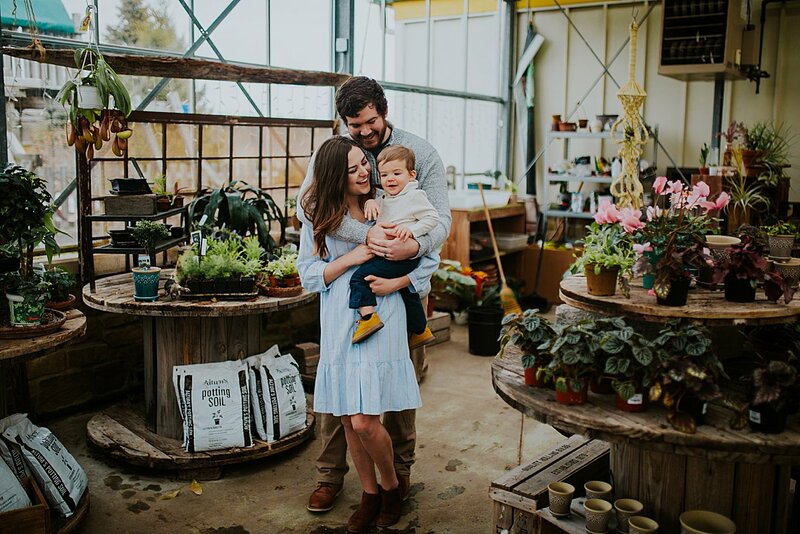 Their location boasts a HUGE variety of succulents and exotic plants (including 6′ fiddle fig leaf trees which I feel like are crazy hard to find). 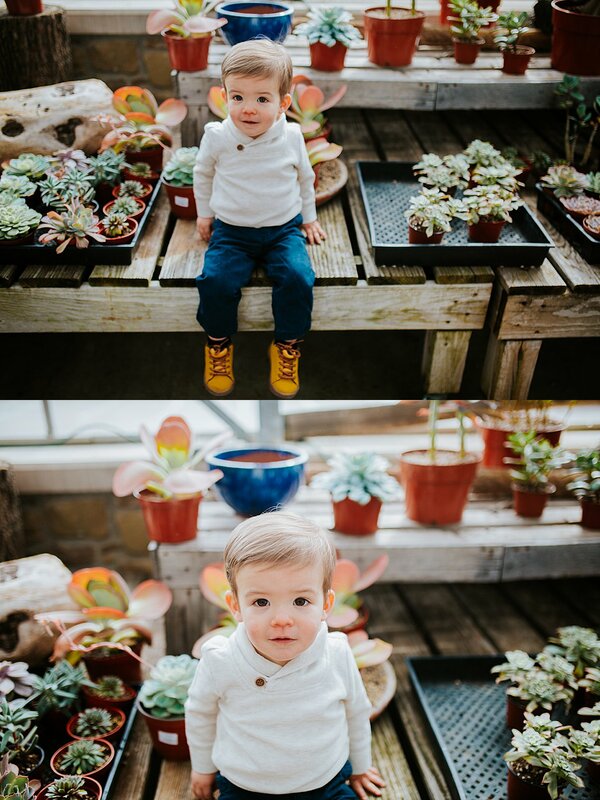 Their beautiful variety of plants makes for the perfect backdrop with so many pops of color and textures. Plus you can grab some adorable handmade pottery on your way out! I don’t think I’ve managed to slip in and out of their shop yet without leaving with something. 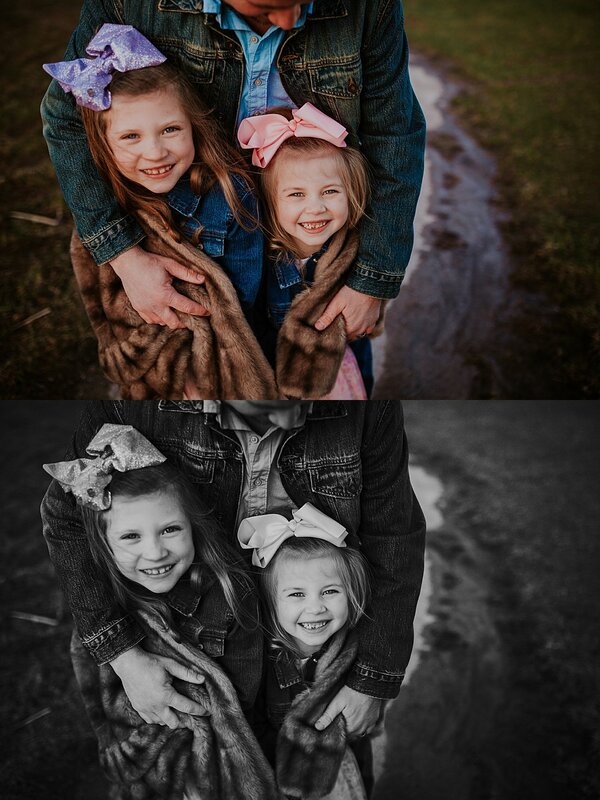 Here are some of my favorites from The Crawford Family’s sessions. 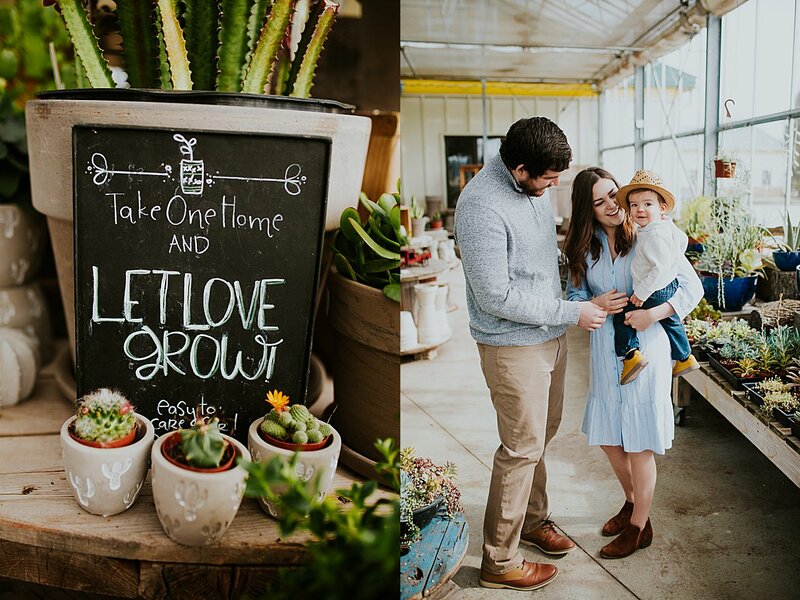 Spring means…spring babies! It also means warm tones, later sunsets, and lots of green goodness. 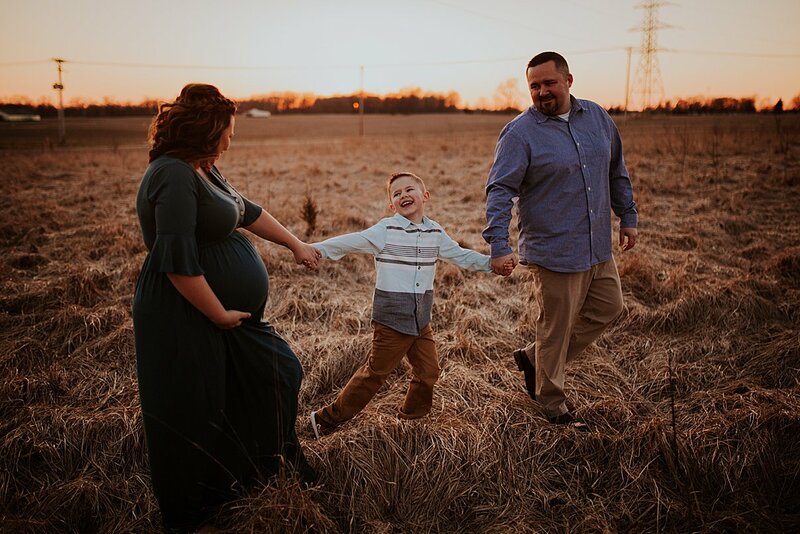 While it’s still early in the season for all of the budding trees and tall green grass, we were still able to find some color during the McKillip family’s session. It was coooooold that day, it actually snowed the night before! Thankfully that was the last snow we’ve seen this spring(fingers crossed). 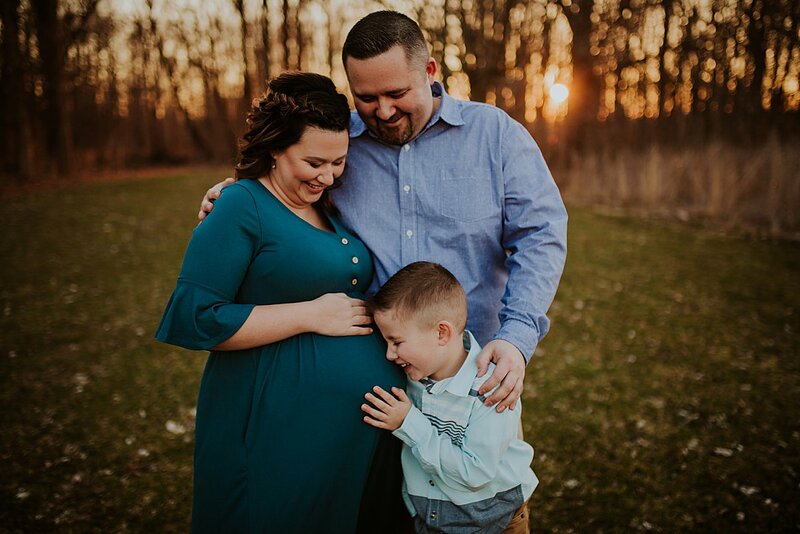 The McKillip family welcomed their sweet little boy into the world last week and I’m looking forward to seeing them again soon for their newborn session. 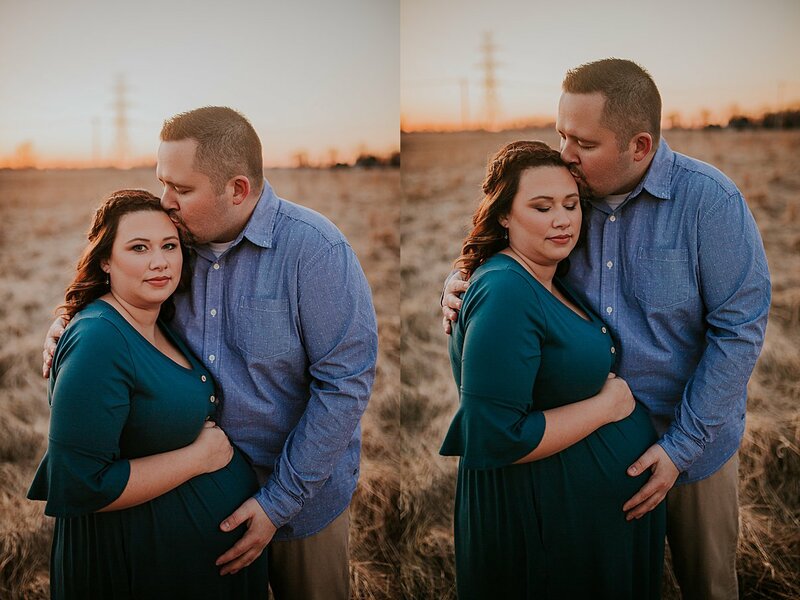 Here are some of my favorites from their maternity photography session in Kokomo Indiana. 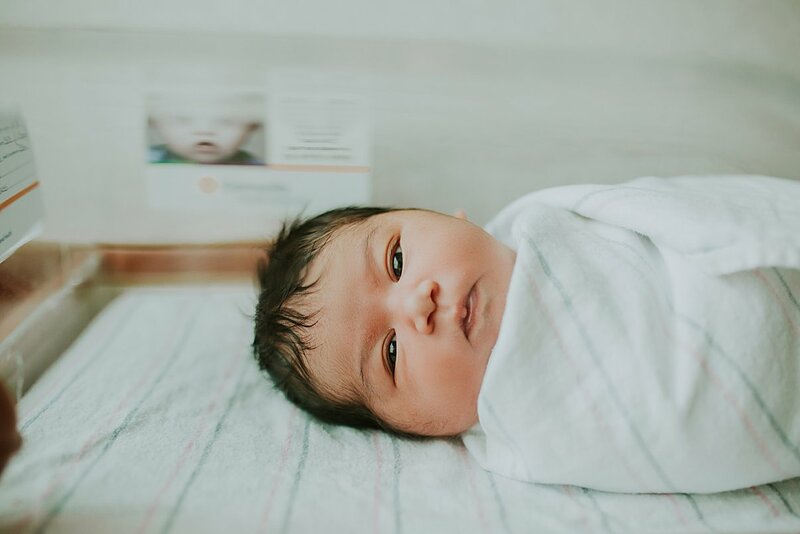 This week, Fresh 48 photography sessions (also know as hospital photography sessions) are FREE with any full newborn photography session booked! This is a $300 value and it’s one of our most popular deals. With this going on, I thought now might be a good time to tell you guys why I think Fresh 48 sessions are so great. So here’s today’s Friday Five! Here are my favorite 5 things about Fresh 48 sessions and why I think everyone should do them. 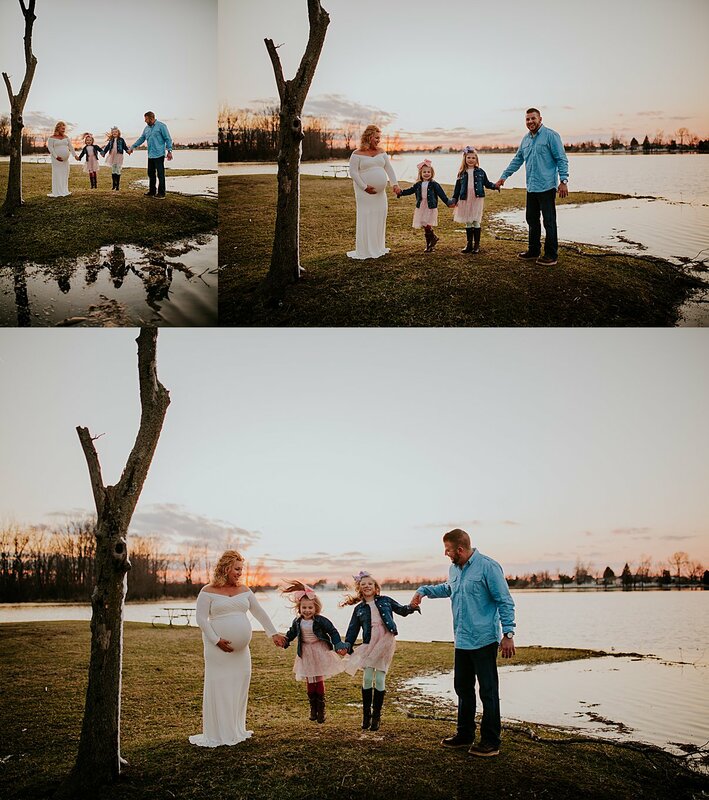 There is nothing in the world like the blur that is being a new parent. 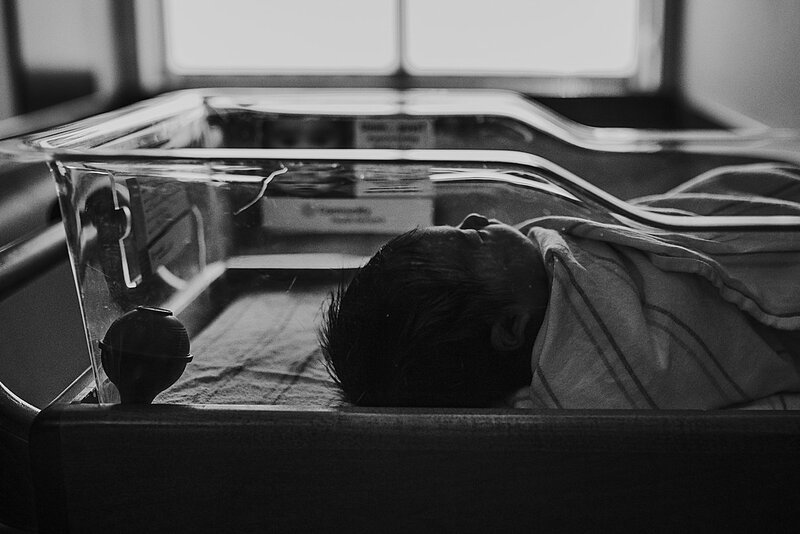 Newborn memories, particularly the hospital ones, have a dreamy haze to them. You are *so* tired and you’ve been through so much in the last 24 hours, that your memory can be a bit flaky. 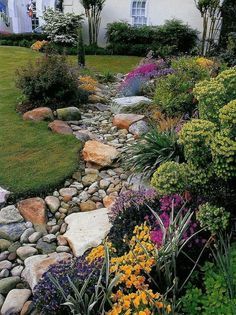 2) The environment is unique. 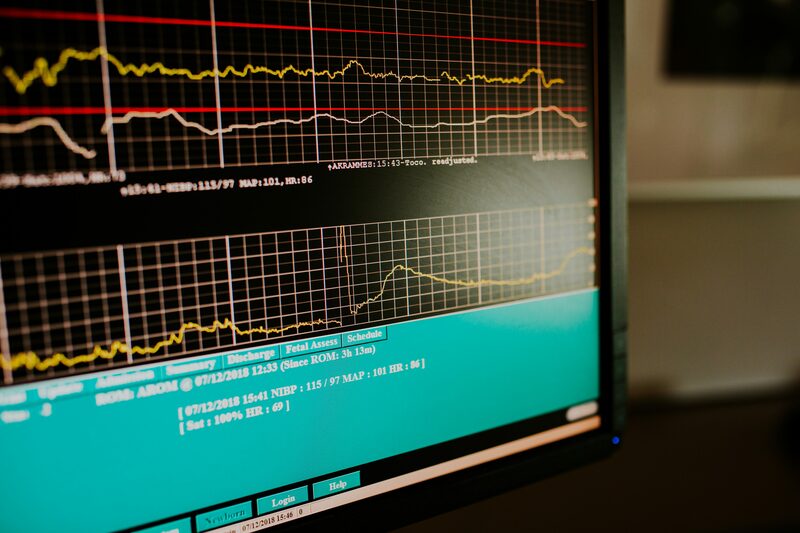 You’ll likely only be in the hospital for a short 24-72 hours. 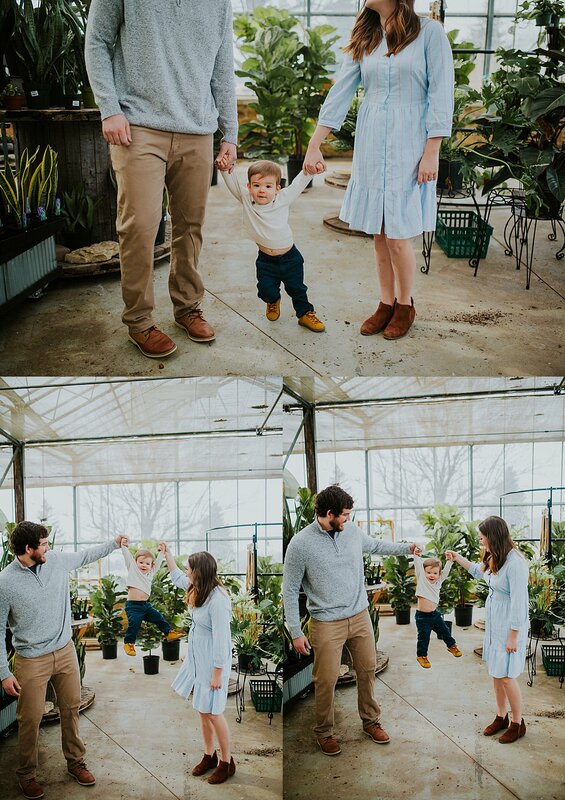 That’s not a lot of time to soak in those fresh baby memories. 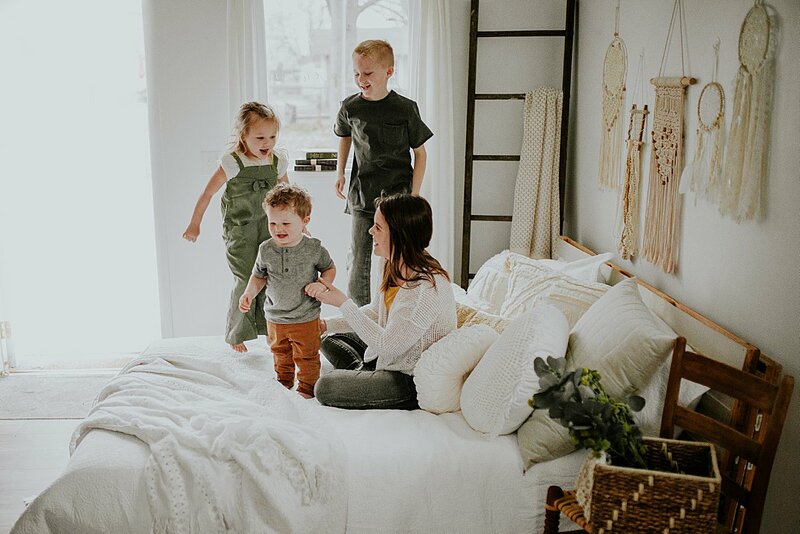 Your room, the hospital wrist bands, your newborn bassinet, these are all things that disappear once you go home. 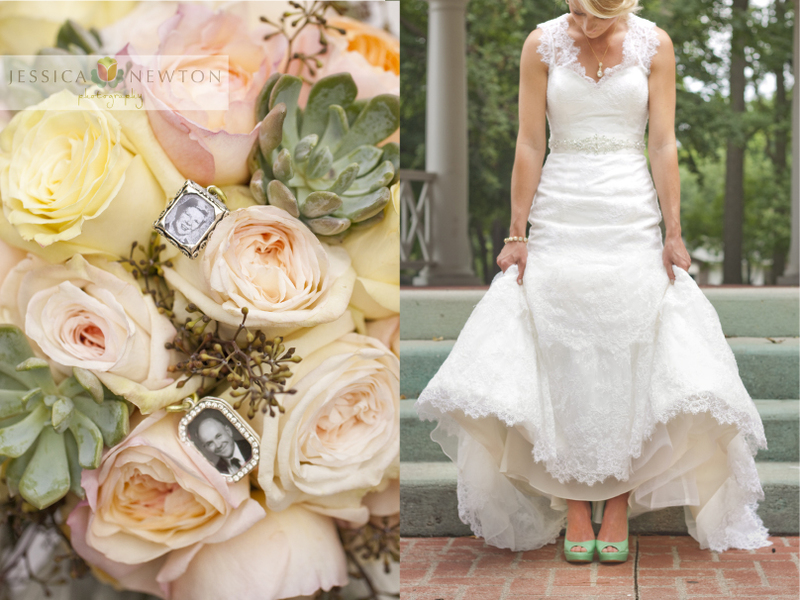 I *love* details and these are all things that I photograph, so that you have these memories for forever. 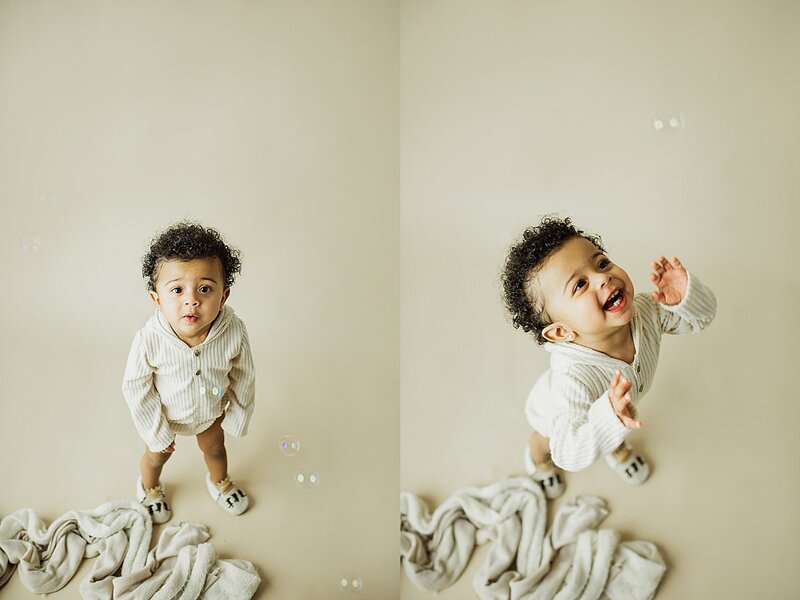 3) That fresh baby look. You’d think that babies wouldn’t change that much from just 24 hours old to 1 week old but they do. Ohhhhh but they do. They look *so* different. They are usually a little more pink and chunky. Their head may be shaped differently from passing through the birth canal. They’ll still have their peachy layer of lanugo. They won’t have any baby acne or peeling skin yet. Their umbilical cord will still be present. 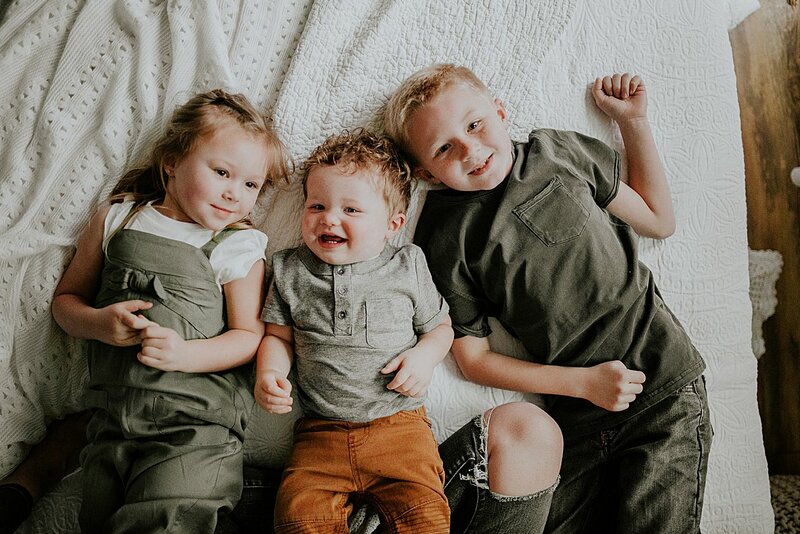 They’ll be dressed in their little hospital clothes or their first ever outfit that you decided to bring to the hospital with you. They’ll look so different in just a few days time. 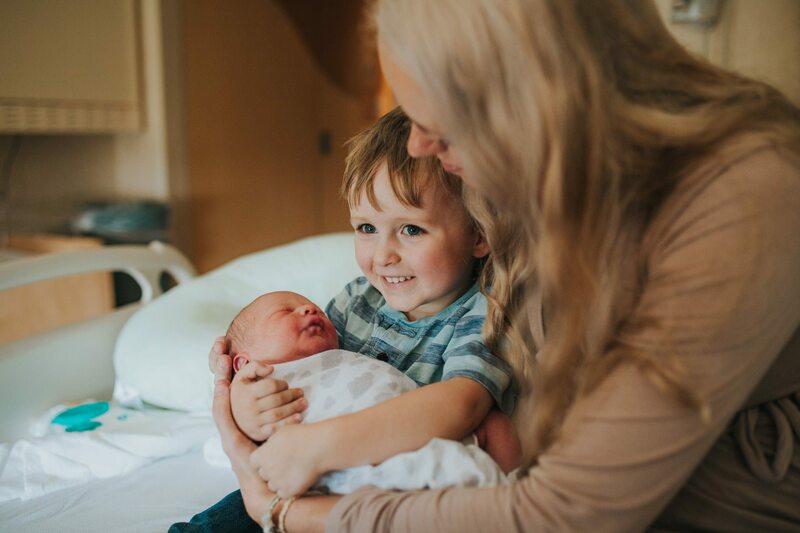 Having a big brother or sister meet their new sibling for the first time is ah-mazing. It only happens once. We can be there for that moment and preserve the look on their face, their feelings of timidness or excitement. We’ll see the pride on your face as you introduce them and you’ll always be able to go back to the very first moment where their relationship began. 5) An alternative to birth photography. 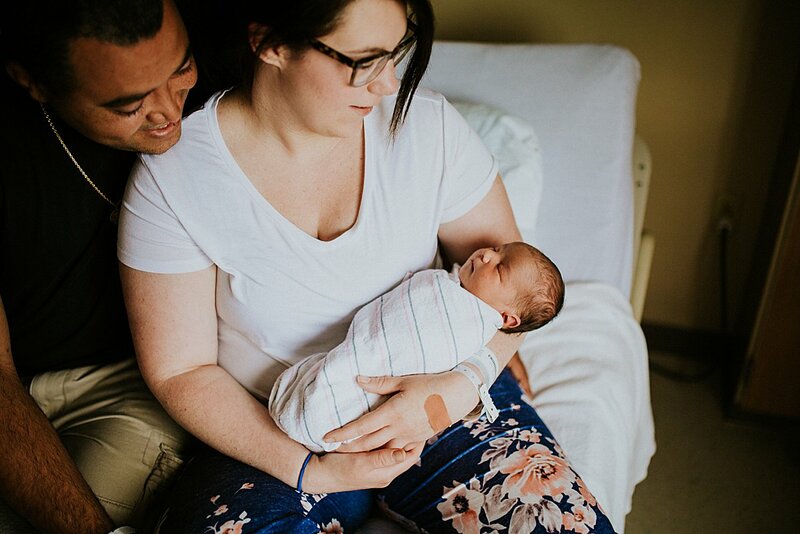 Though birth photography and fresh 48 photography are very different, they have similar vibes. 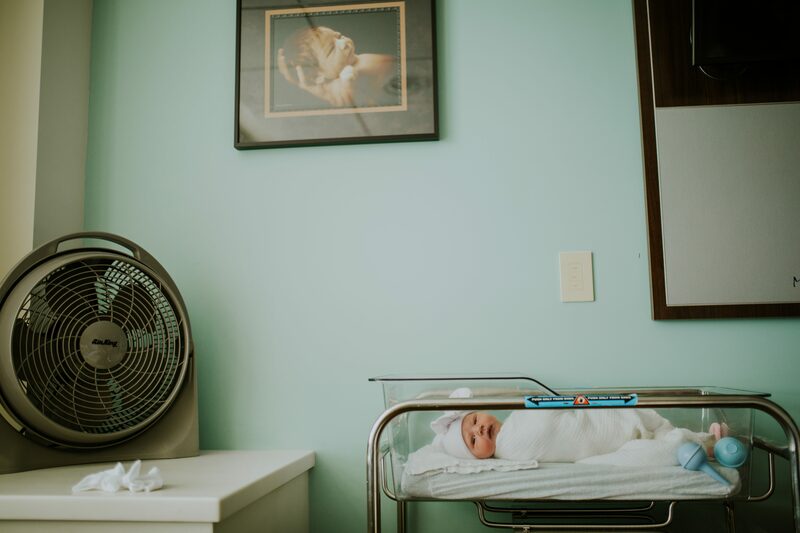 If birth photography just isn’t your thing, but you still want the hospital setting, it’s a great alternative. We still get that “fresh out the womb” look as well as your births surroundings and it’s story. There you have it! 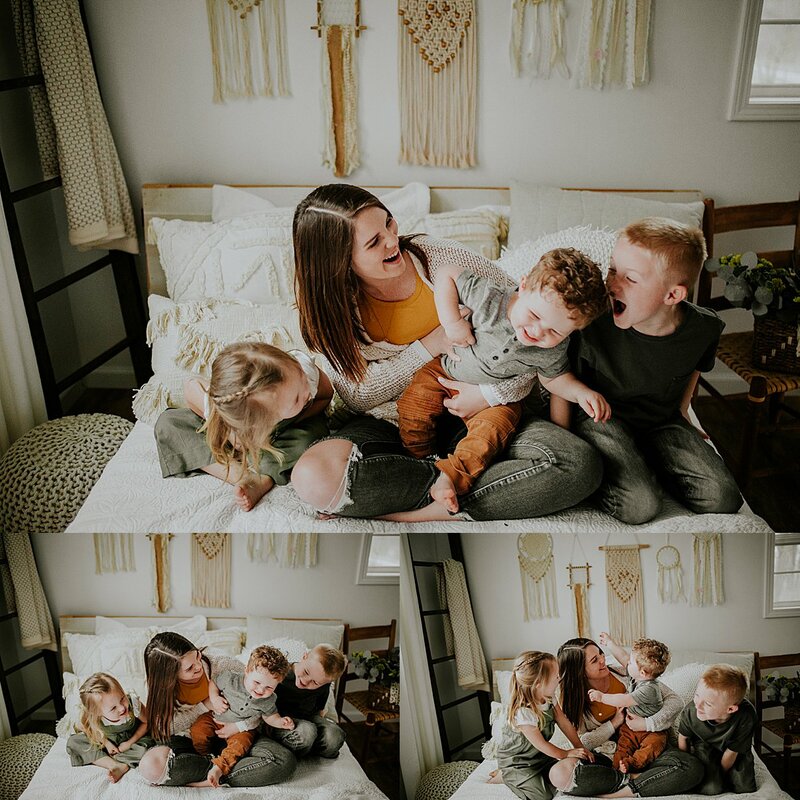 My five favorite things about Fresh 48 photography sessions and why I think everyone should do them. If you want to get in on the Free Fresh 48 session deal, contact me at jessicabnewton@gmail.com. You’re also welcome to come tour my Kokomo Indiana Photography Studio if you want to see what it’s all about. Want more Friday Fives? 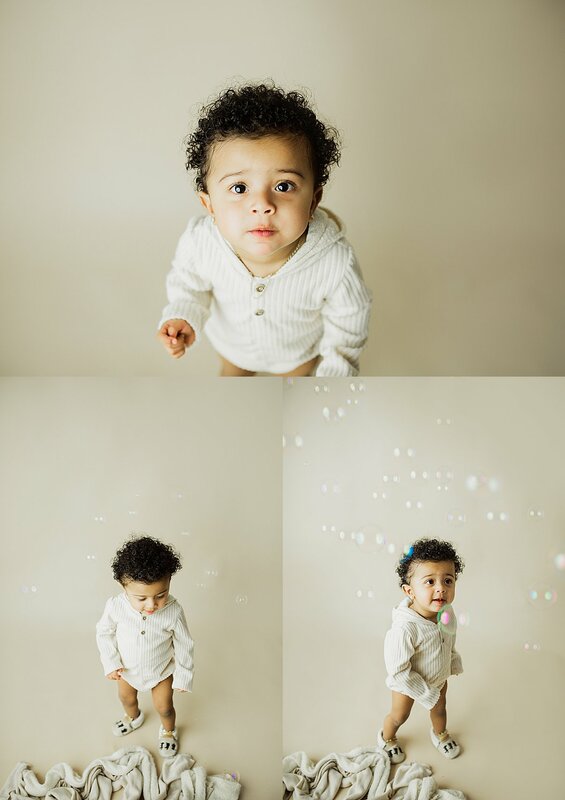 See last weeks post about my five favorite things about Birth Photography. 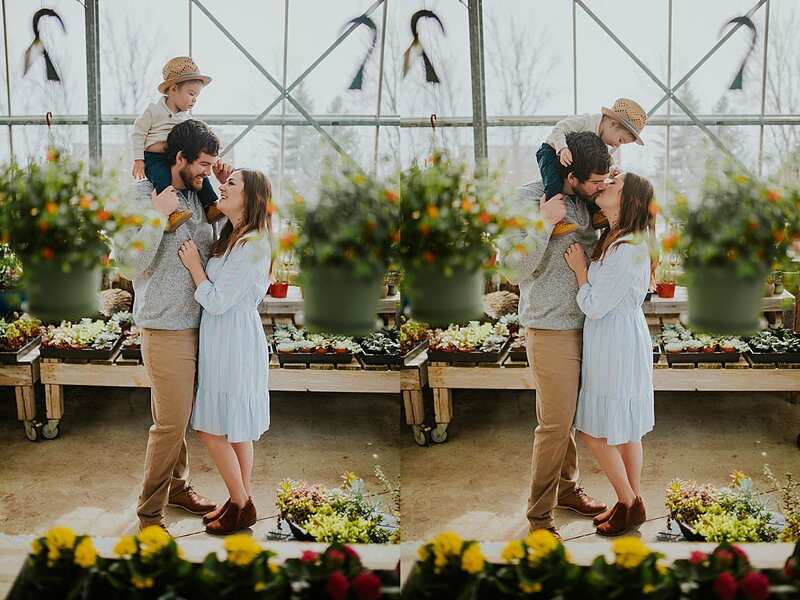 April is in bloom and so are all those gorgeous baby bumps. I’ve been prepping the studio this week for a baby explosion because the studio is going to be FULL this month. 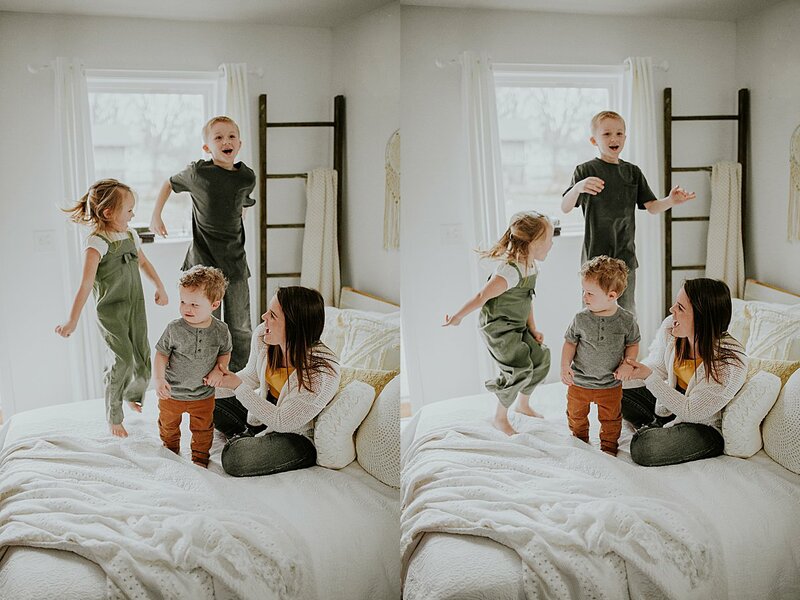 Between the Motherhood Minis coming up and all of these new babies, we’ll be keeping busy to say the least. 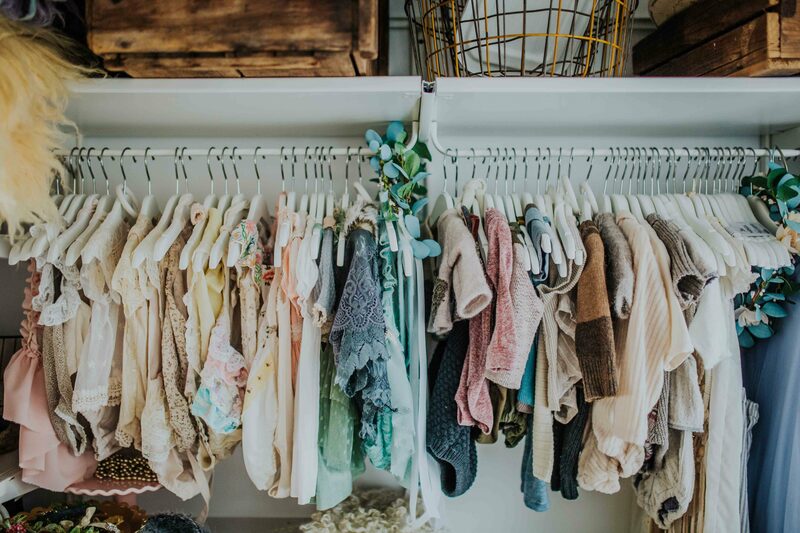 I just stocked the studio with more florals and ordered some new spring color pastel bonnets that I can’t wait to get in! As well as some more newborn lovies which I’m probably more excited about than anything. 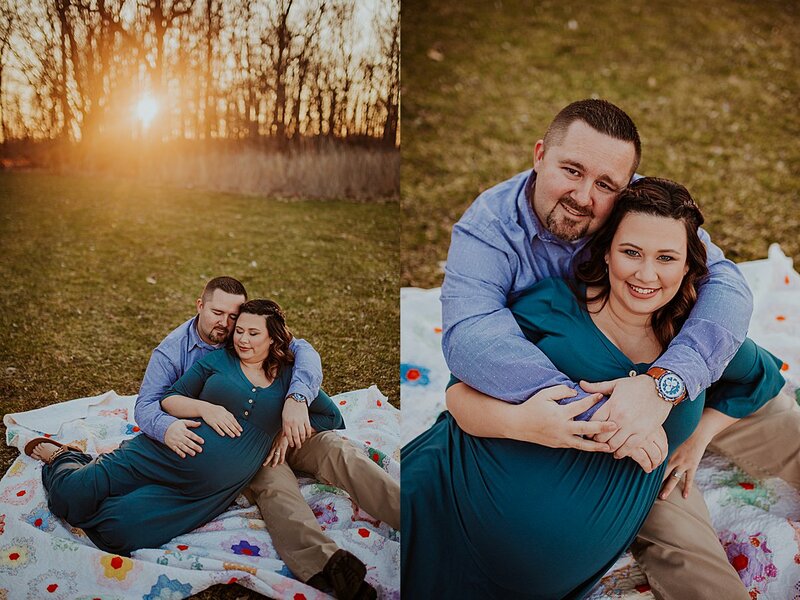 I had 3 expecting mamas visit me with their families over a weekend, all of which chose local parks for their maternity photography sessions in Kokomo Indiana. 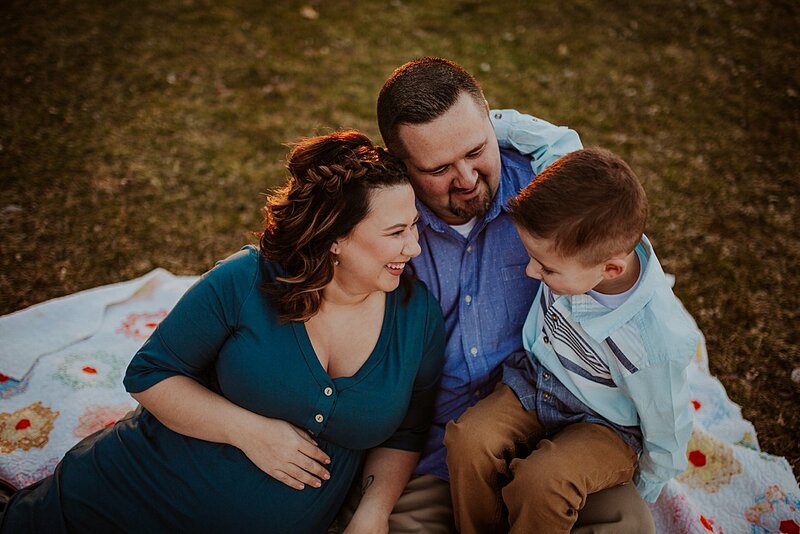 We settled on using Jackson Morrow Park for Alaina’s session and she chose this beautiful muted teal green dress. 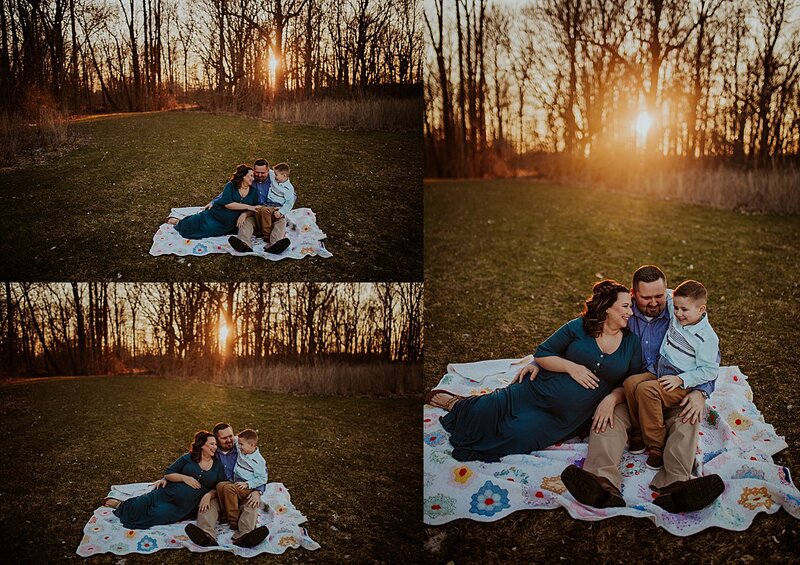 We started things just prior to sunset for those gorgeous warm and moody colors that we all know and love. I’m excited to meet with him again once his baby brother has arrived. 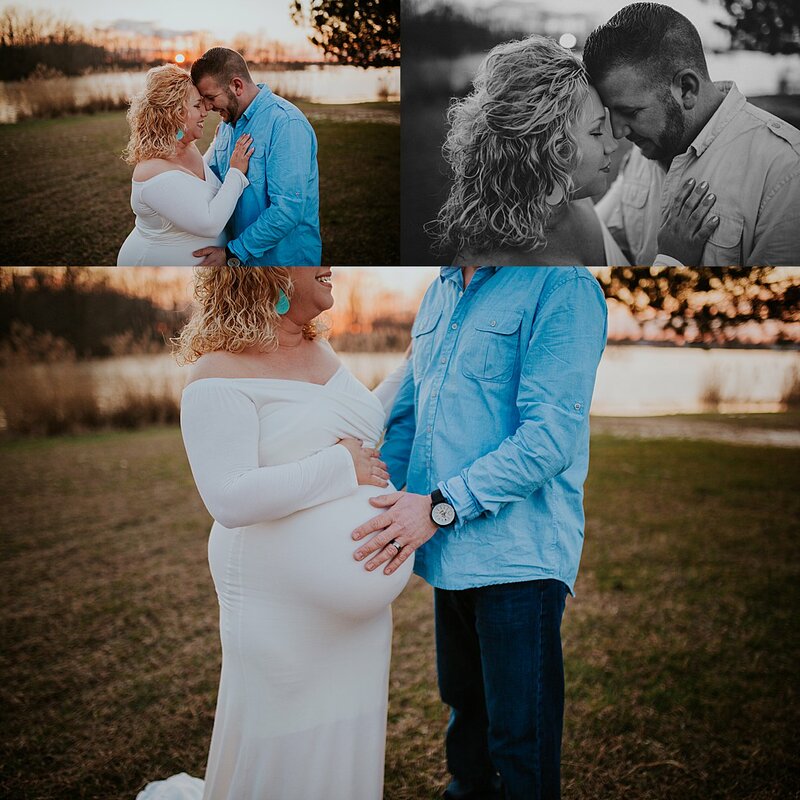 He was just-a-smoochin on his mama’s baby bump and I know he’ll be doing the same once Baby Bradley arrives. 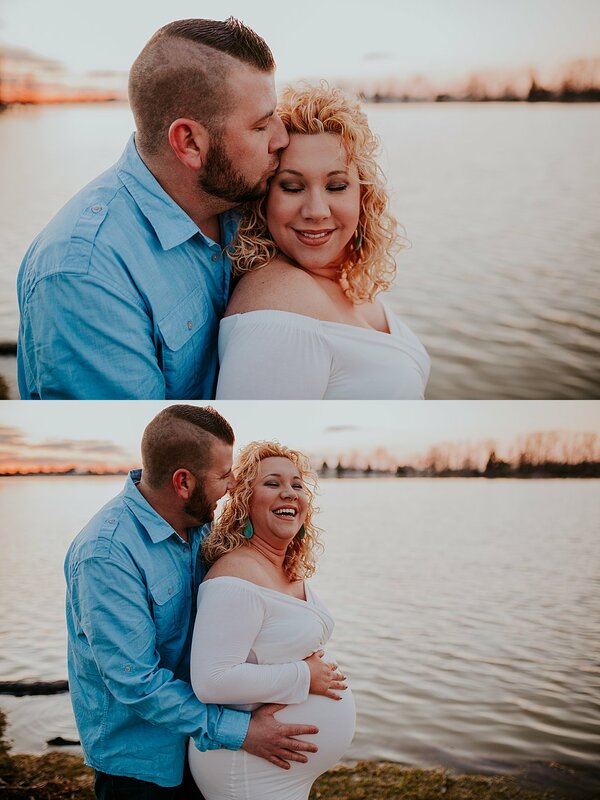 Here are some of my favorites from their session below. 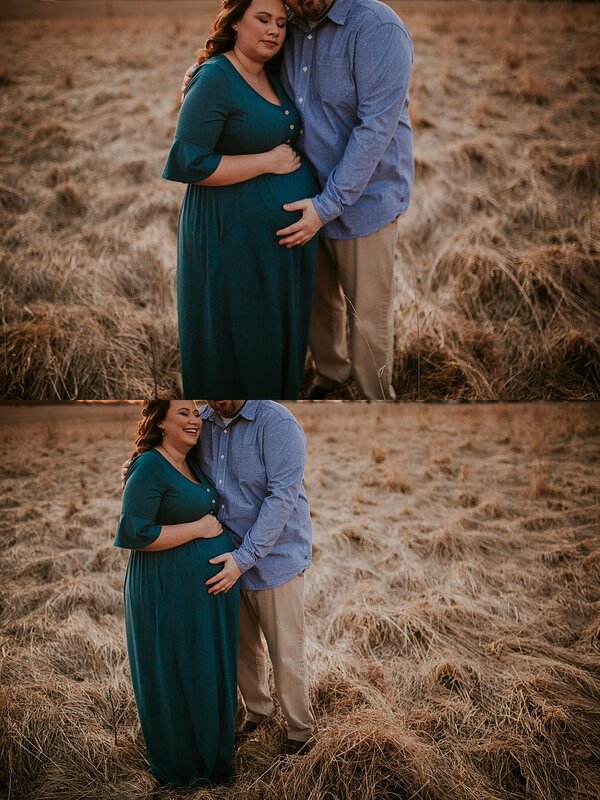 If you’d like to book your own maternity session, you can email me at jessicabnewton@gmail.com or visit the Contact Me form here. 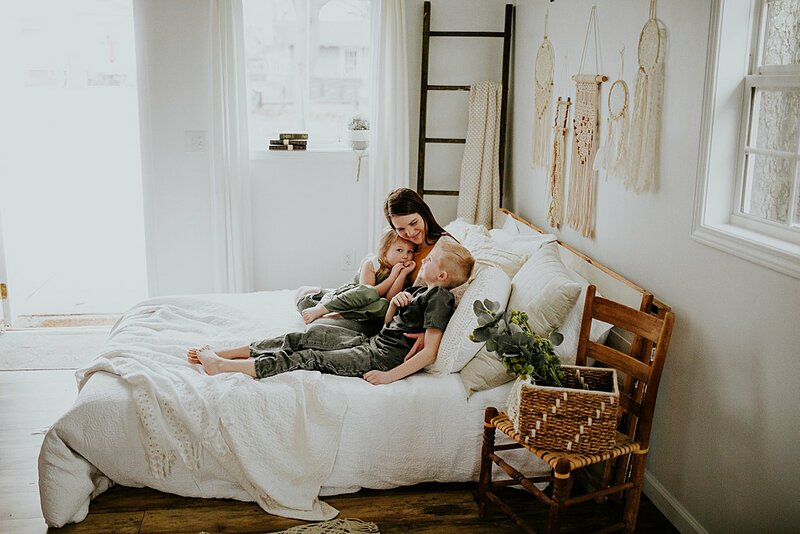 I found some bedroom inspiration photos online last week that I fell head over heels in love with. 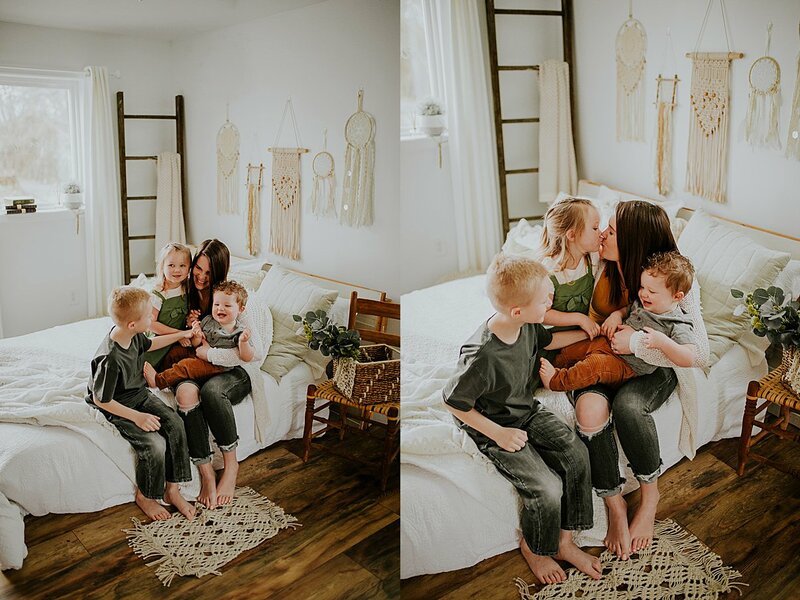 After several requests from clients, I asked my JNP Client Group on Facebook if they might want to pursue a Mommy & Me mini session setup this year comparable to these inspiration photos. The majority picked out a Boho/Farmhouse styled bed setting and I have to agree, it was pretty sweet. 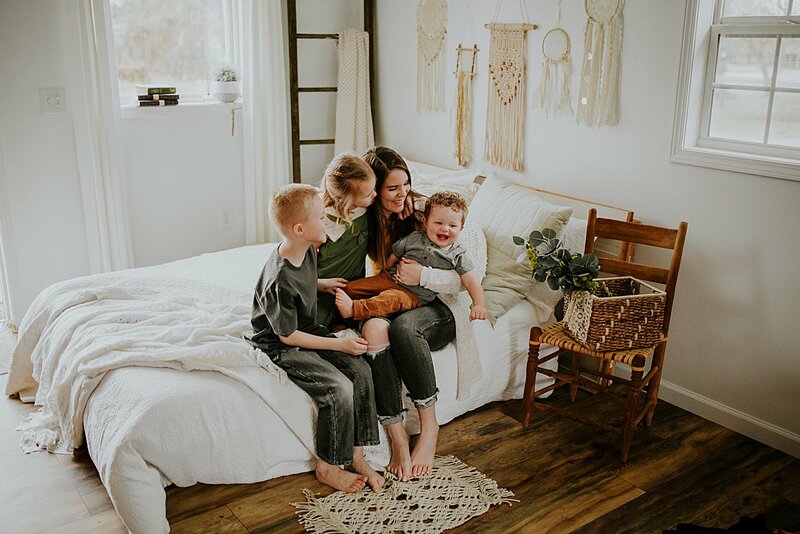 Lots of whites and neutrals with a little bit of greenery for a cozy cuddle setting that makes you just want to stay home and cuddle up with a good book. So off shopping I went and over this last week I created the most ah-mazing styled setup. 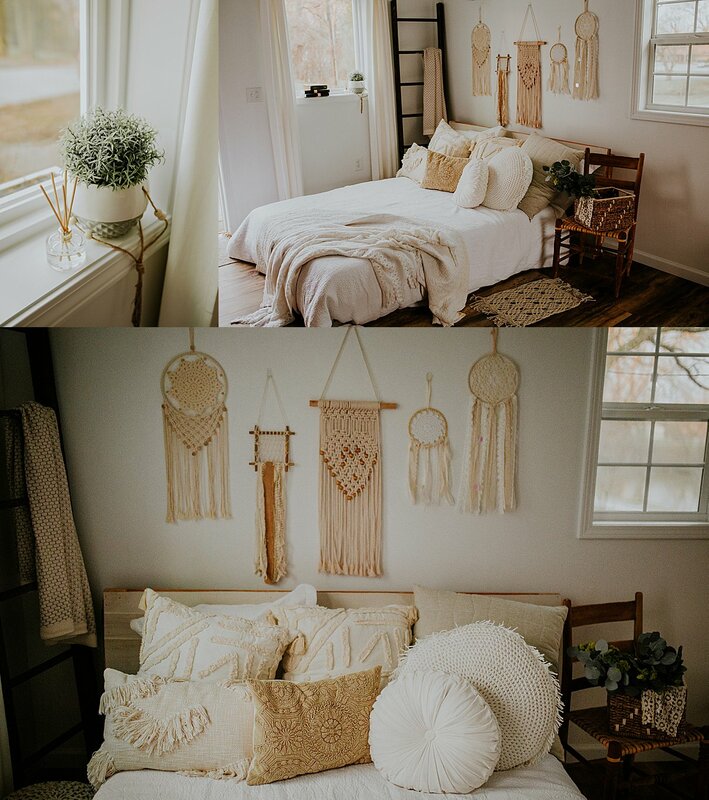 Full of textures, all neutrals, and some florals for that perfect pop of color and macrame decor. 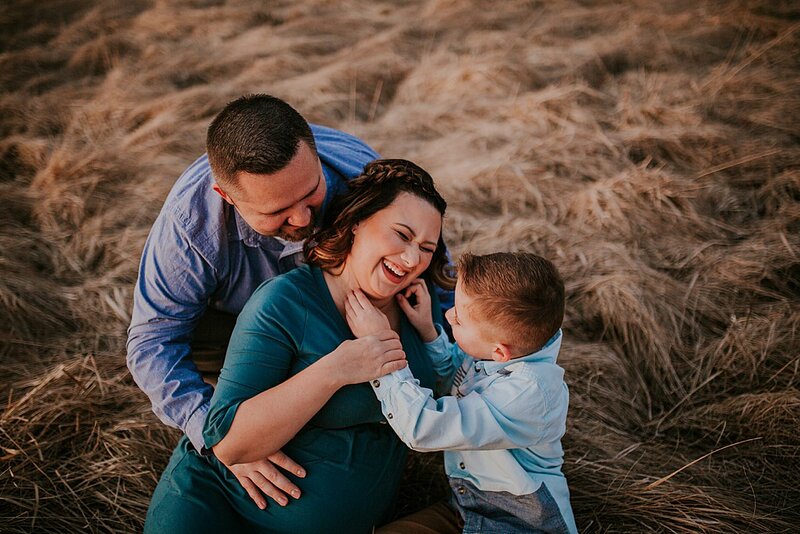 I’m thrilled with how the session turned out and sessions are officially open for booking, with the mini session date of April 28th. This will be an all day event with morning, afternoon, and evening time slots available. If you are interested in booking, email me at jessicabnewton@gmail.com for details. If you’ve been following me for long, you know that I love births. And not in a “I love thai food” kind of way(although I do LOVE thai food. Tom kah soup anyone?). 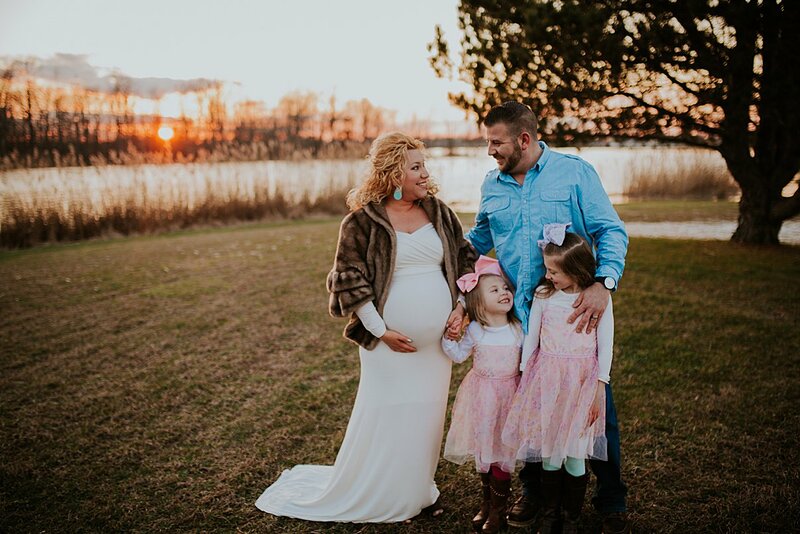 I love births like I love beach sunsets, like I love the memories of my long childhood walks through my grandmothers hay field, like I love the drawings my children give me. It’s a life giving love that restores and renews. 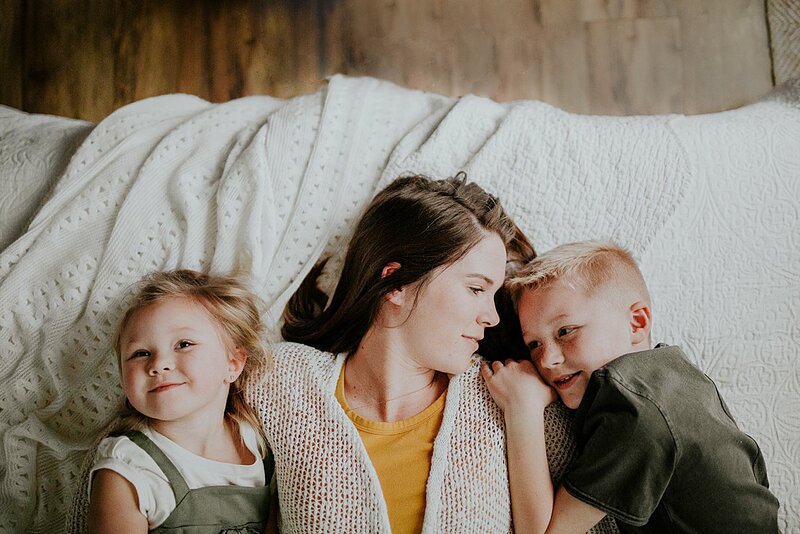 Today is Friday Five, a new blog post series I started last week, discussing my top favorite five “something” for that week. And today it’s births! And why I love them as a photographer. Birth’s are unique. 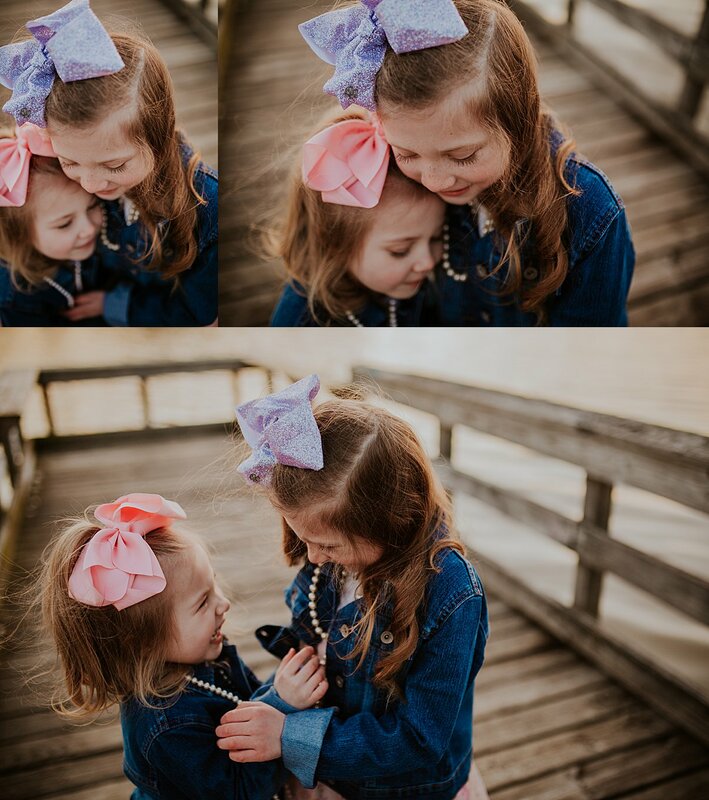 There’s nothing like them. Not even Fresh 48 sessions can compare to the raw emotion that is present during a birthing day. 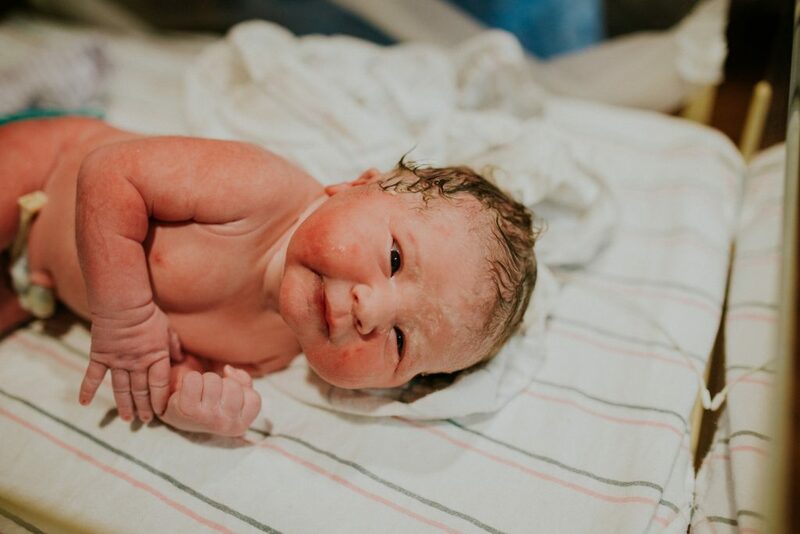 Each labor and birth story is so different from the next because each human is special and different than the next. That’s weird. It’s weird right? I have a nose you guys and it can rival a blood hounds. 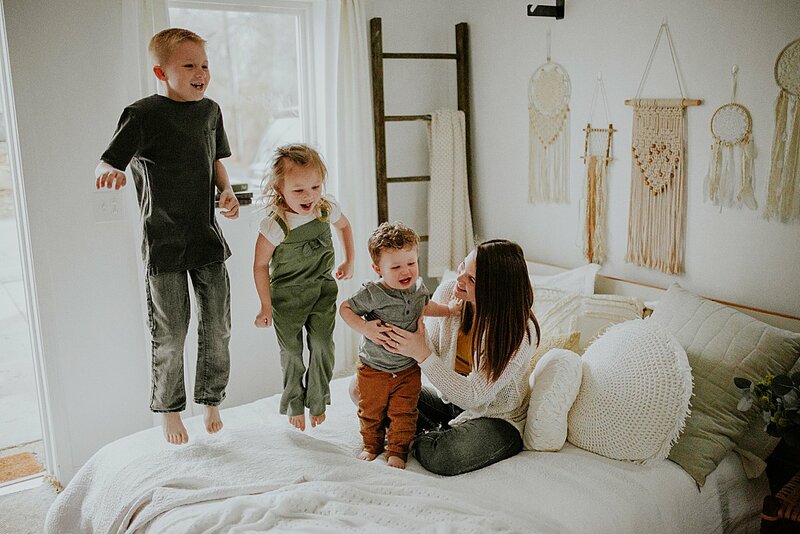 When I was pregnant with my 2nd son, I could laundry dryer vents while driving by their house. There is a certain smell on the labor and delivery unit and I LOVE it. Everything about it, right down the smell of the hand sanitizer. 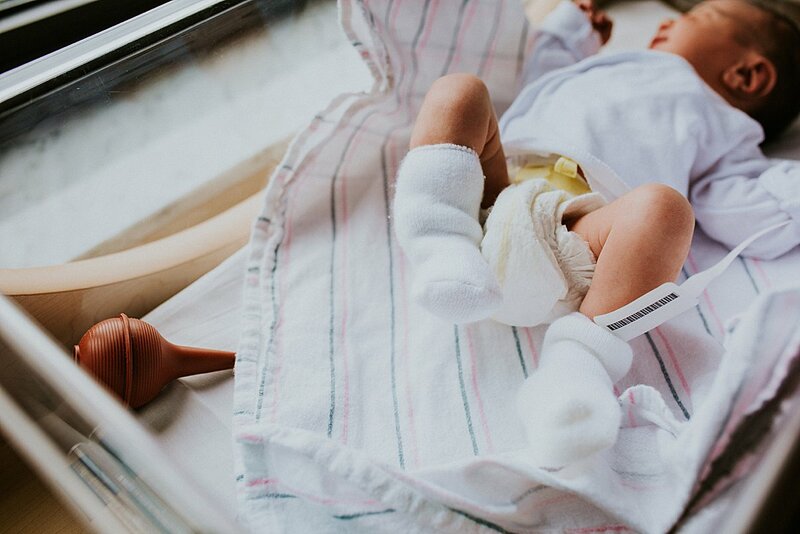 And there are few things more wonderful smelling than a fresh baby still coated in vernix. It’s absolutely heavenly. 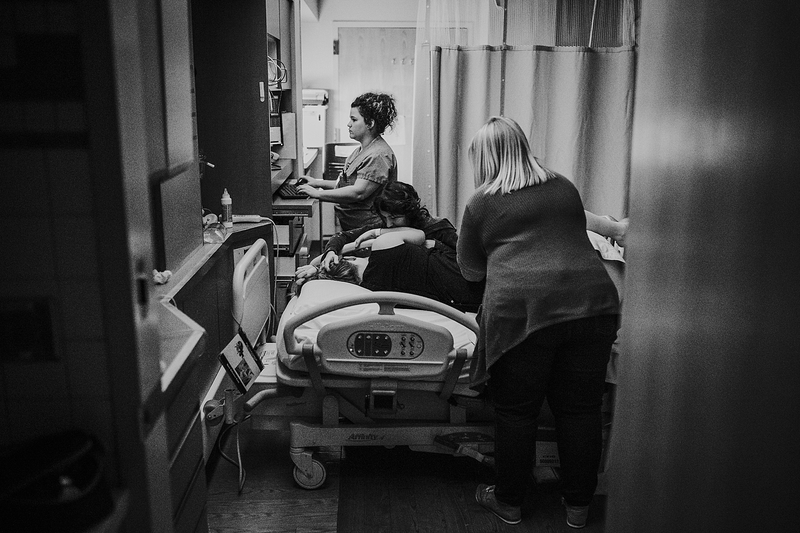 Births are emotionally charged and as a birth photographer, I see people in one of their most life changing and vulnerable states. Most people don’t wear their heart on their sleeve, but laboring parents do. 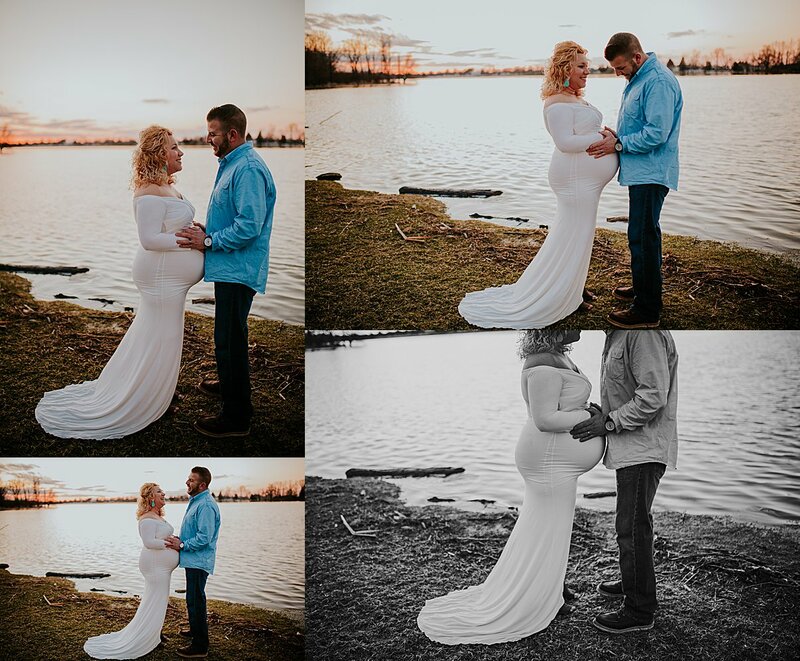 Everything in the world stops while you are writing your birth story. Everything. 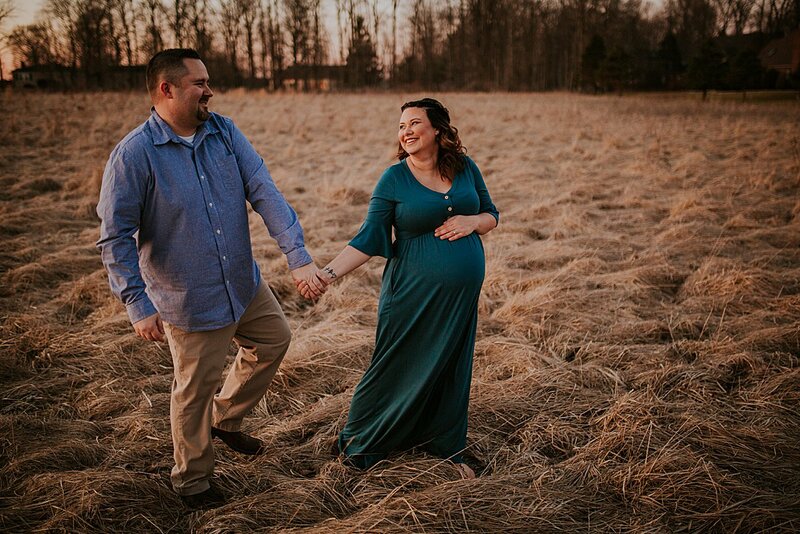 Your focus shifts to bringing your little one into your arms or to comforting your spouse as they go through labor. 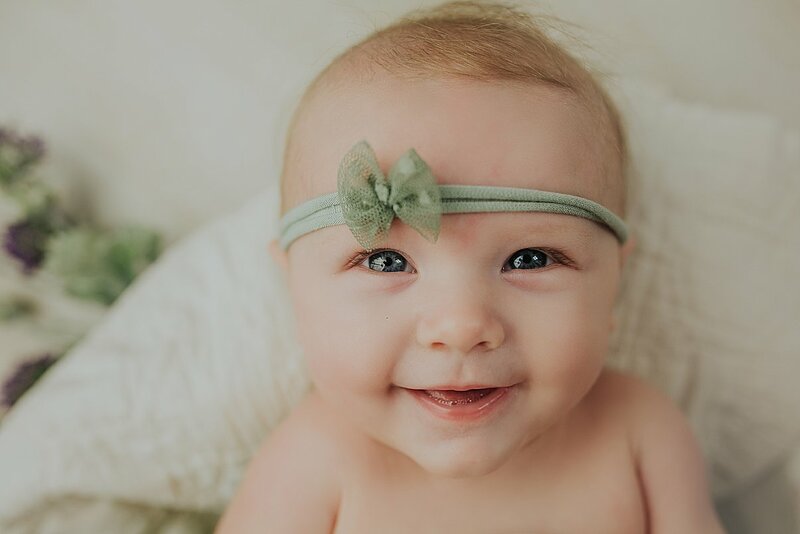 And when you see that little human’s face for the first time with your own eyes, hearts explode. 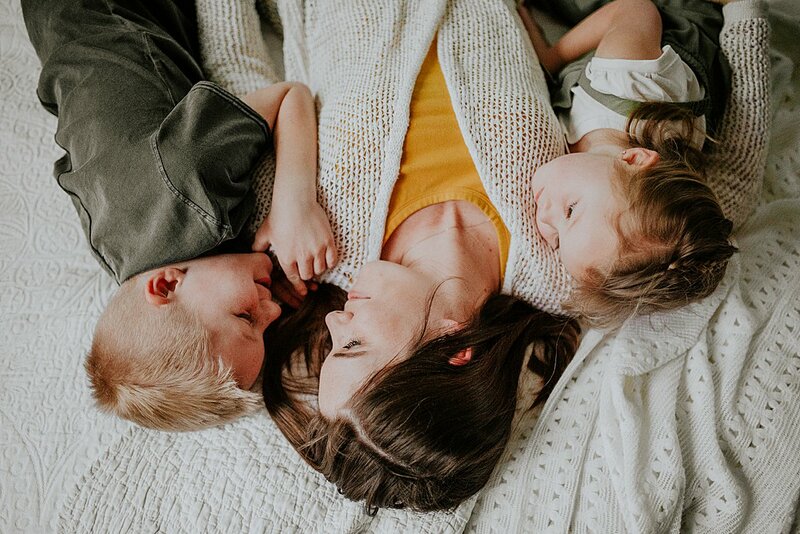 My own birth stories are full of personal nostalgia, both positive and negative. 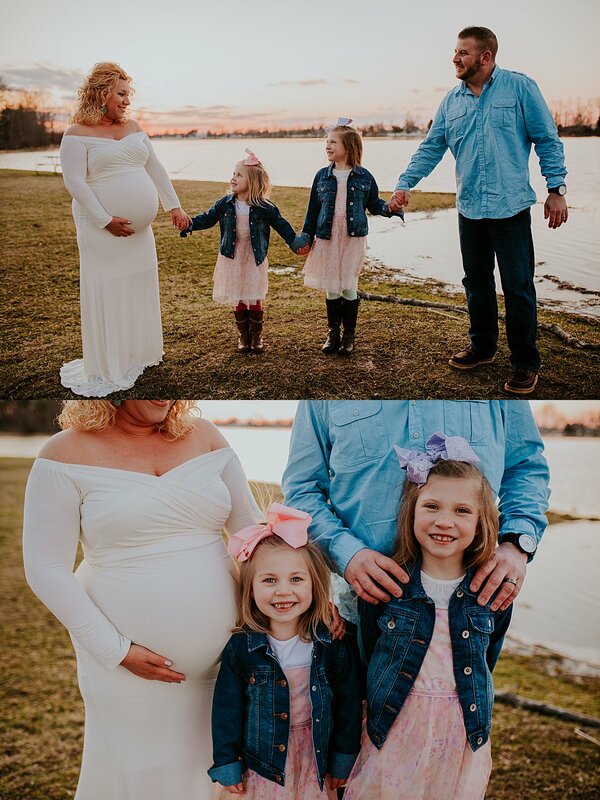 When I walk into a birth space, I feel all of that energy flood back to me(especially at IU Methodist in Indianapolis since that’s where I delivered 2 of my own babies). 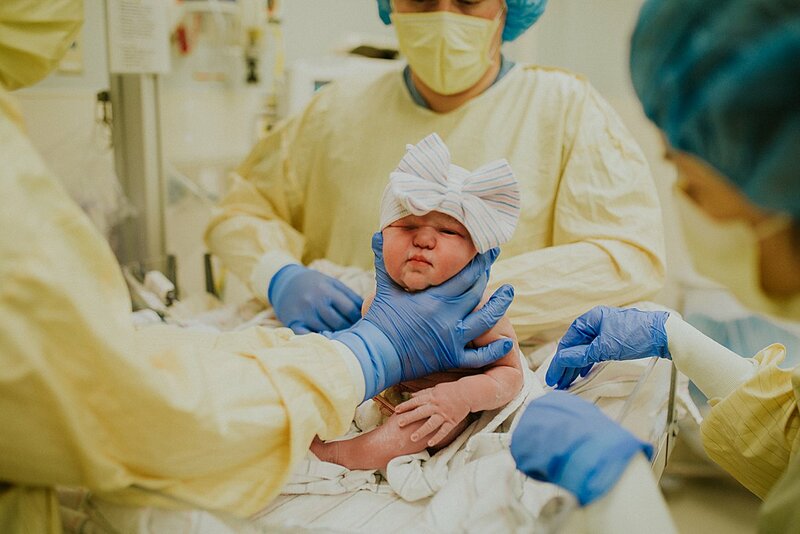 Having the opportunity to be present during another woman’s birth reminds me of my own. 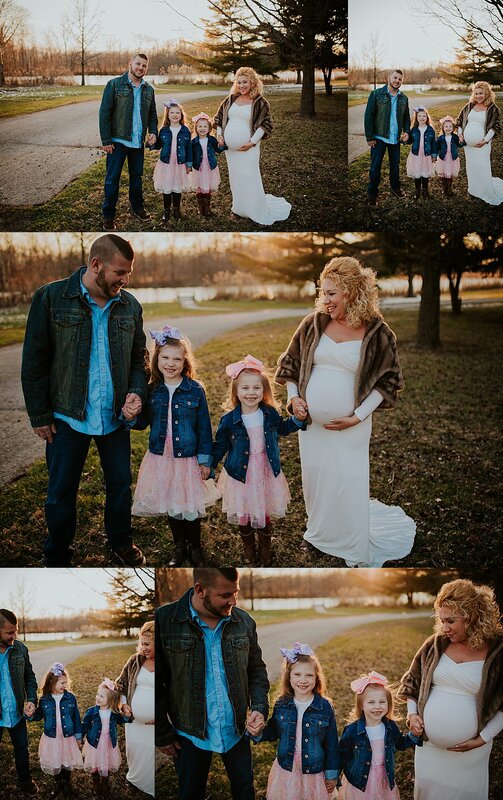 It reminds me of how lucky I am to be a mother and how lucky I am to watch other parents become parents. Hope is defined as a feel of trust. A feeling of expectation and desire for a certain thing to happen. In what feels like a hopeless world sometimes(though I know this to be anything but true), hope becomes tangible on birthing days. Hope is the hand that you hold to support you throughout your labor. 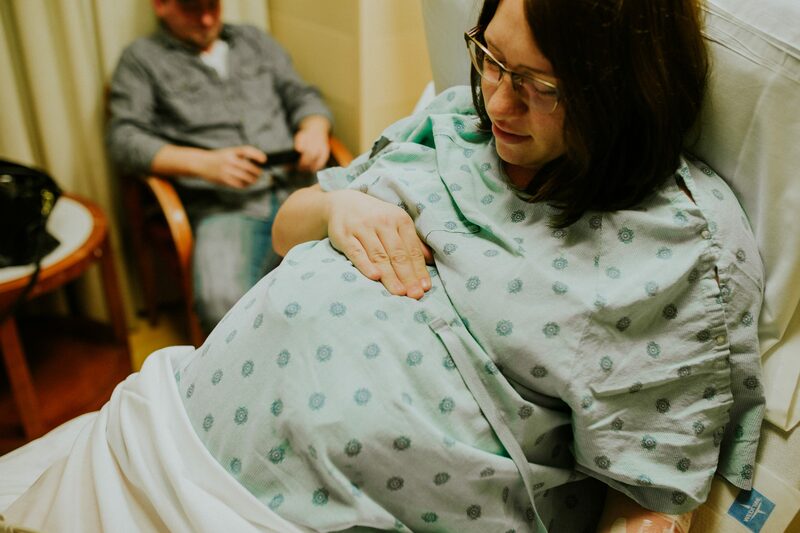 Hope is gentle touch that you provide to help balance your laboring partner between contractions. Hope is the new baby human that you hold in your arms after months, sometimes years, of waiting. 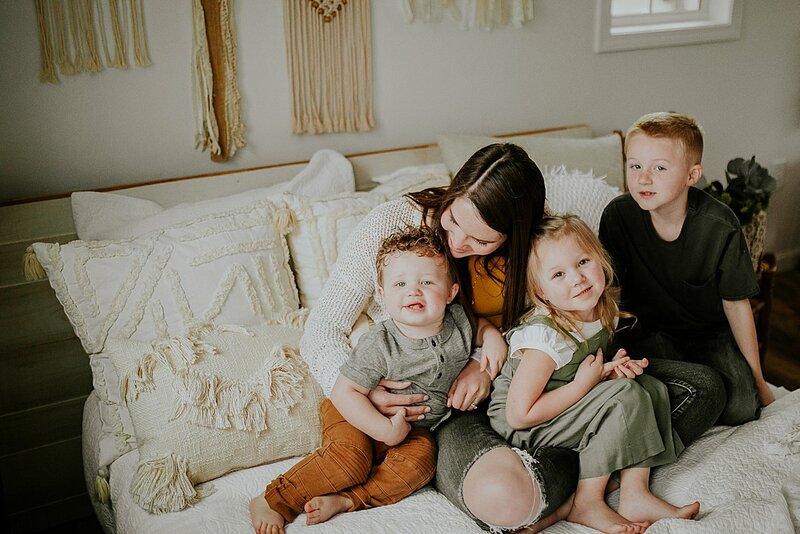 Births continue to be my favorite for sooooooo many reasons but these are definitely my current top five. Have an idea for our next top five? Send us an email at jessicabnewton@gmail.com, we are always looking for ideas. 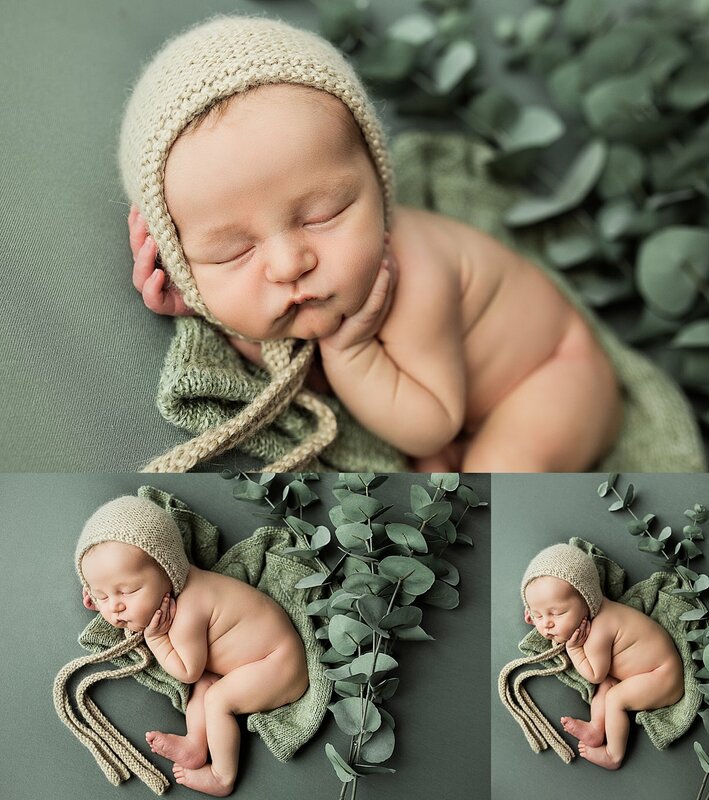 Read last weeks Top Five ~ Favorite Newborn Photography Vendors. Happy Fri-yay! Today I’m starting a new series that will be happening every other Friday(or maybe every Friday if I get really excited about something) showcasing my favorite five of “something”. 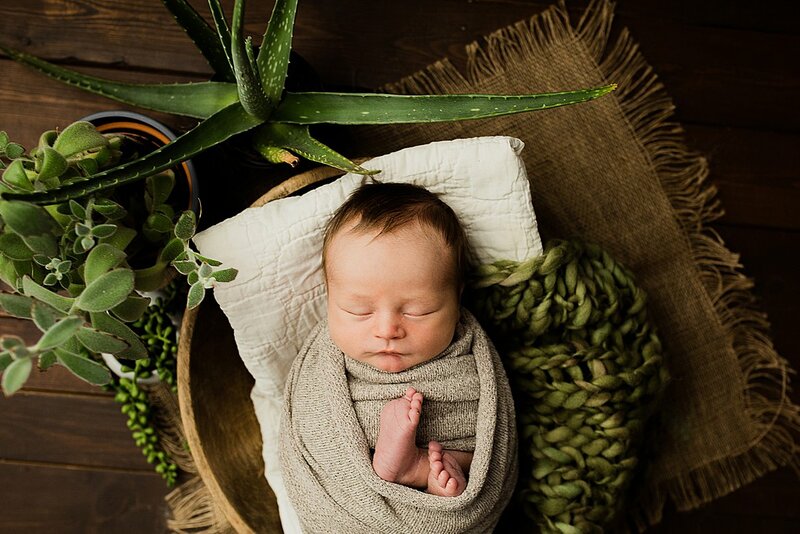 And today for the first post, it’s newborn photography vendors! 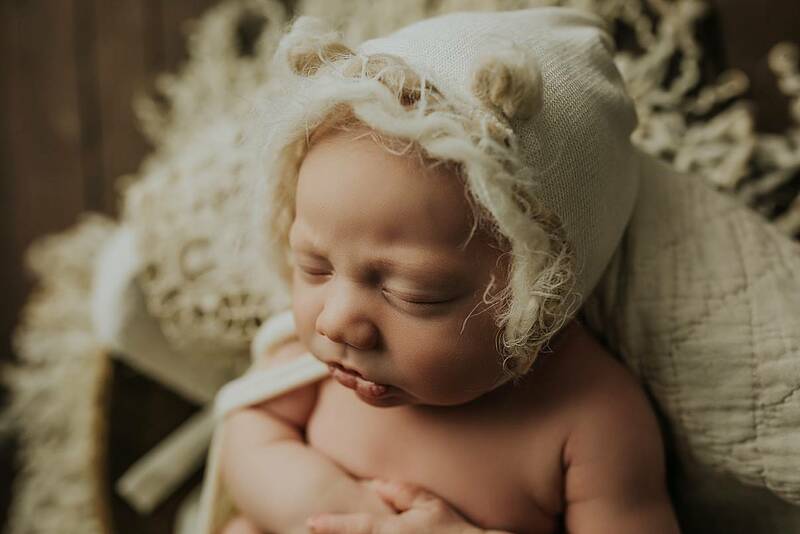 The studio is FILLED with newborn bonnets, headbands, outfits, layers and props. 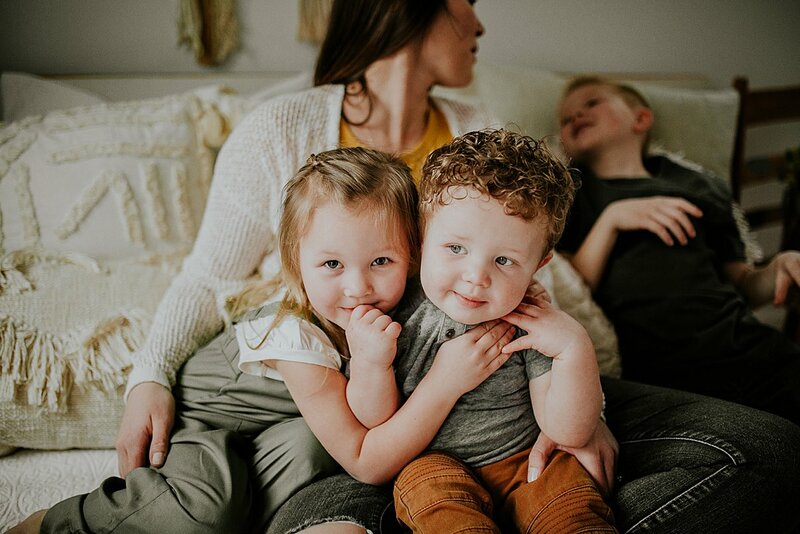 I source 99% of my things from reputable small shop businesses just like mine and they only sell to newborn photographers(they are super high end and really hard to get your hands on). 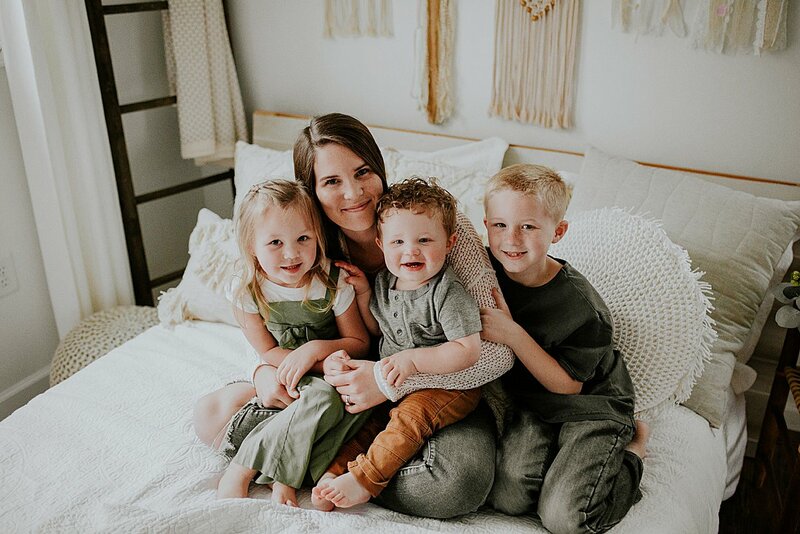 There are probably 30 different vendors represented in my micro studio, but my “go to” gals are today’s top Friday five. The owner of Mia Joy is Jocelyn Bijlsma and she’s my number one for good reason. Her outfits. are. incredible. I’ve never seen anything like them. They are so unique in fact, that Jocelyn has often had to defend her brand due to other vendors copying her designs with their own knock off versions. 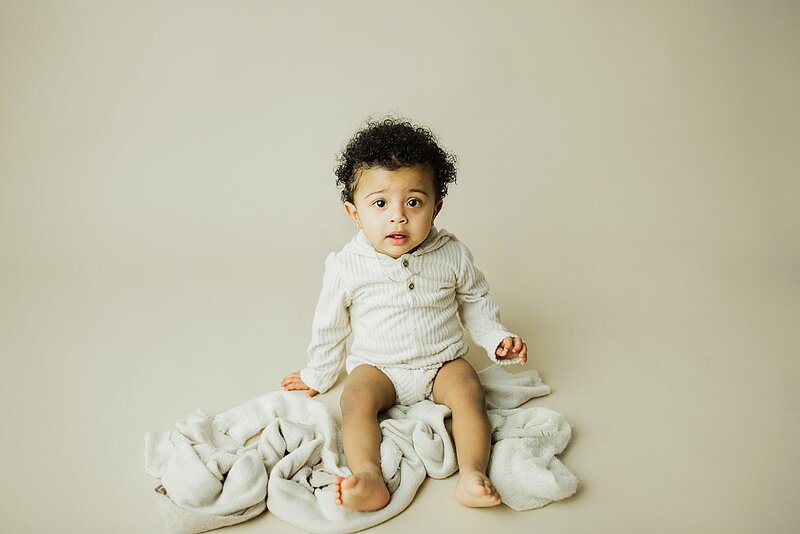 Mia Joy sells both girl, boy, and gender neutral styles for studio portrait sessions for newborns, older babies, and big kids. 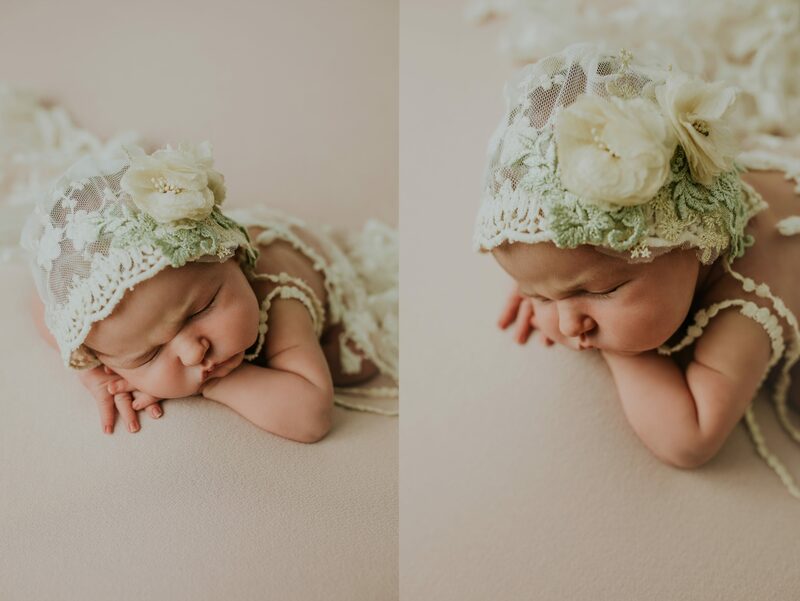 You’ll find her outfits throughout our studio closet, including this gorgeous bonnet above on Baby Leeland. What can I say, I’m totally in love. Luneberry sells some of the most luxious props on the market, my favorite of which is their 3500g flokatis. 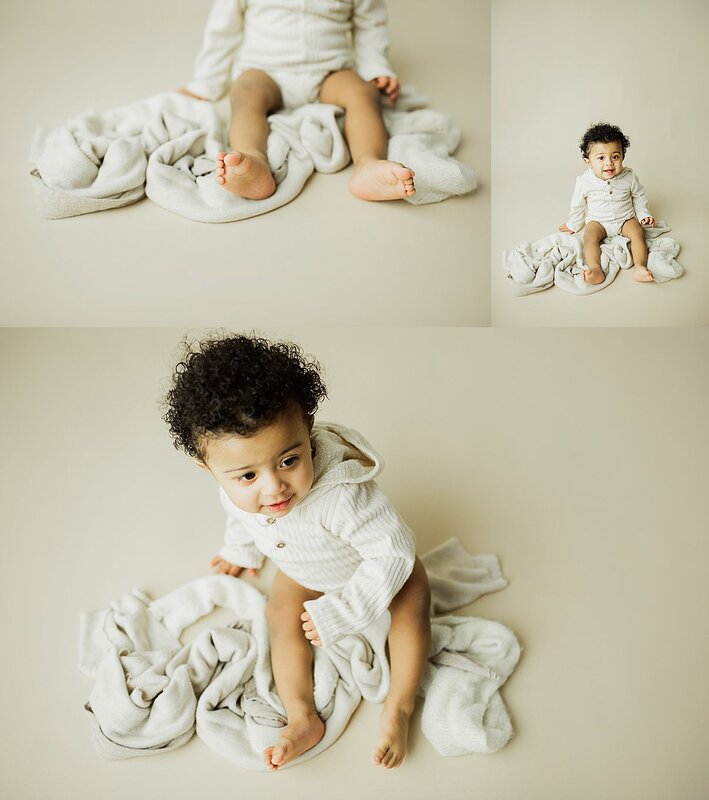 These plush greek wool layers are hand woven and create stunning images for newborns. 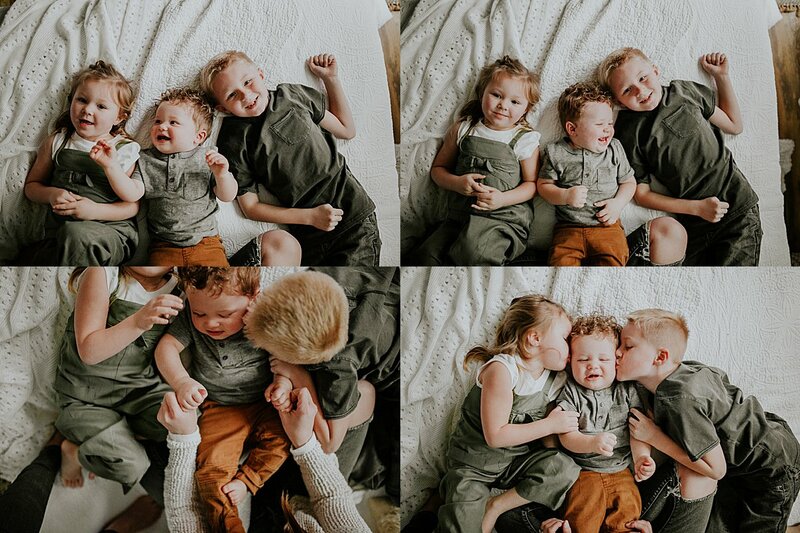 My favorite things to do with them is to use them for big kids during their newborn portrait session with their new baby brother/sister. Luneberry also has a selection of unique colors that can’t be found anywhere else and that are designed to match up with other photography vendors props. My all time favorite Luneberry piece is their rainbow flokati. 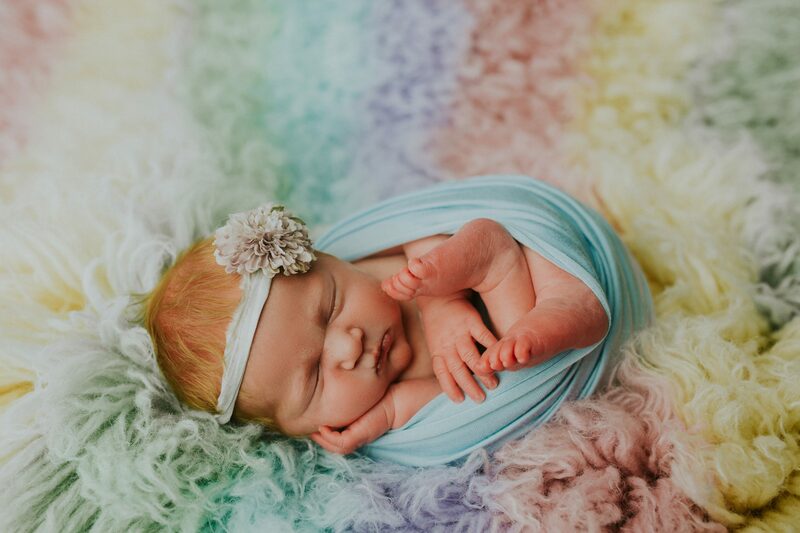 We’ve had our share of rainbow babies come through our Kokomo Indiana photography studio doors and it’s a favorite stunning piece for even more stunning babies. 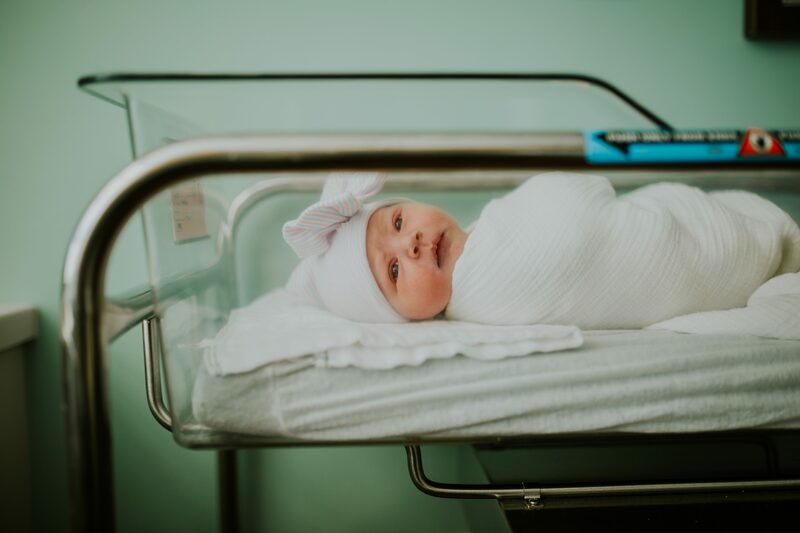 My gosh, if you want to find all the things(especially if you are a newborn photographer new to the biz) Carly Glass will get you all set up. 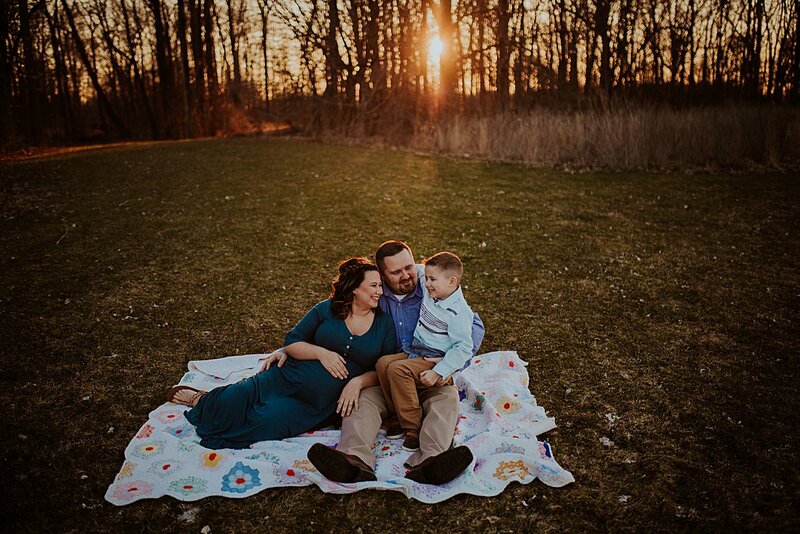 Carly runs a newborn photography shop from her home in Carmel Indiana which is just a stone throw away from me. 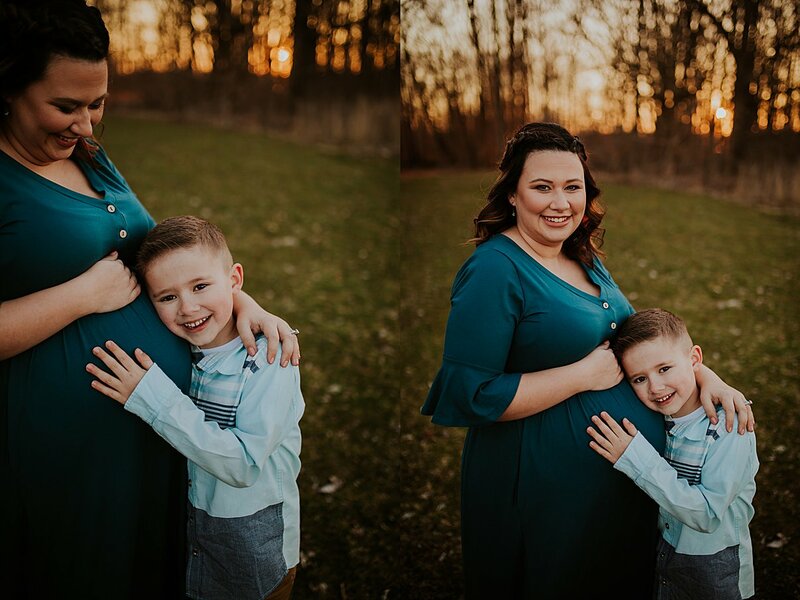 She’s a one woman show with a little one of her own(and another on the way!) and she is rocking it. 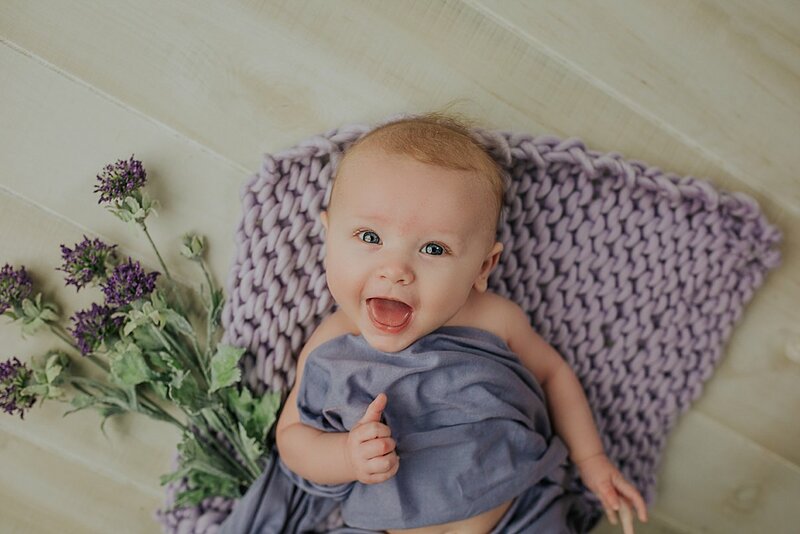 Her online store front The Indy Cottage has everything a newborn photographer needs to get started, with the PERFECT stretch wraps in every color imaginable as well as adorable matching headbands. 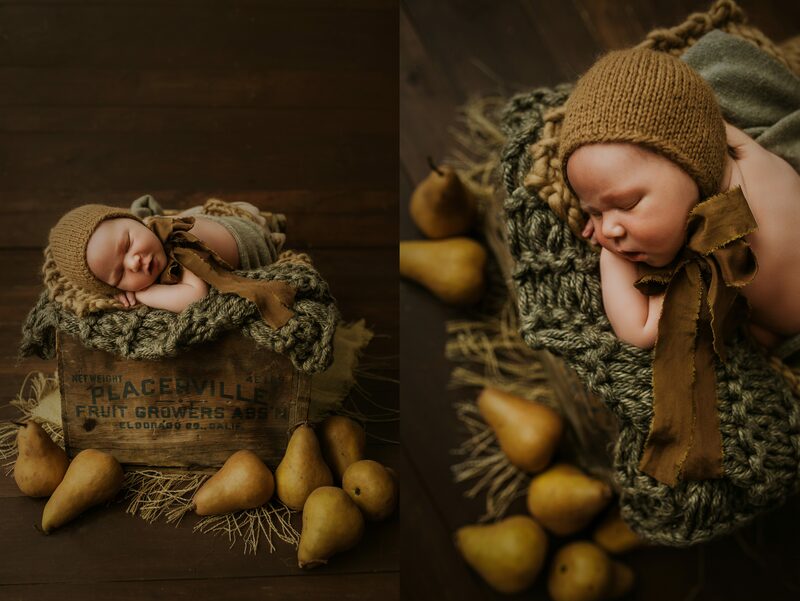 She also sources dough bowls and fun props which are sized up to fit newborns perfectly and she has the most beautiful hand knit chunky layers. 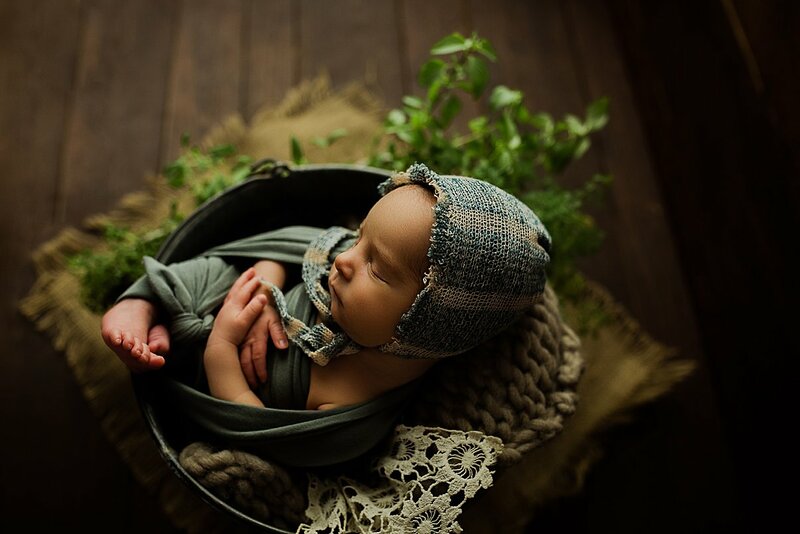 My favorite newborn prop that I bought from Indy Cottage is an antique bowl that I was lucky enough to find during one of her open house events. You can find it in almost every single one of my sessions, including the one above. I’m a bonnet hoarder, it’s true. Whether is a boy or girl newborn that comes through my door, you can usually find that that’s the first thing I run to. 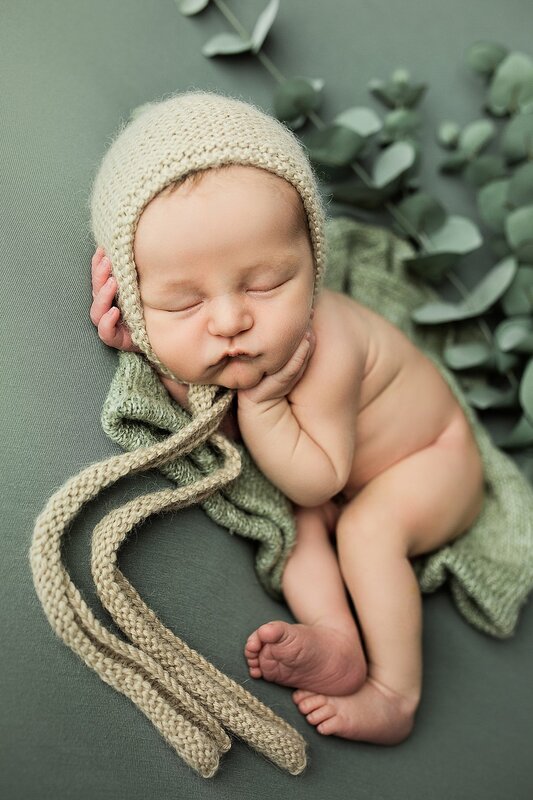 Threads and Evergreen has SO many creative bonnets, from full knits to intricate designs. I stalked their page for almost a month, waiting for the above bear bonnet to be released and it sold out in minutes. I was lucky enough to grab one before they were gone and it’s one of my new favorite pieces. 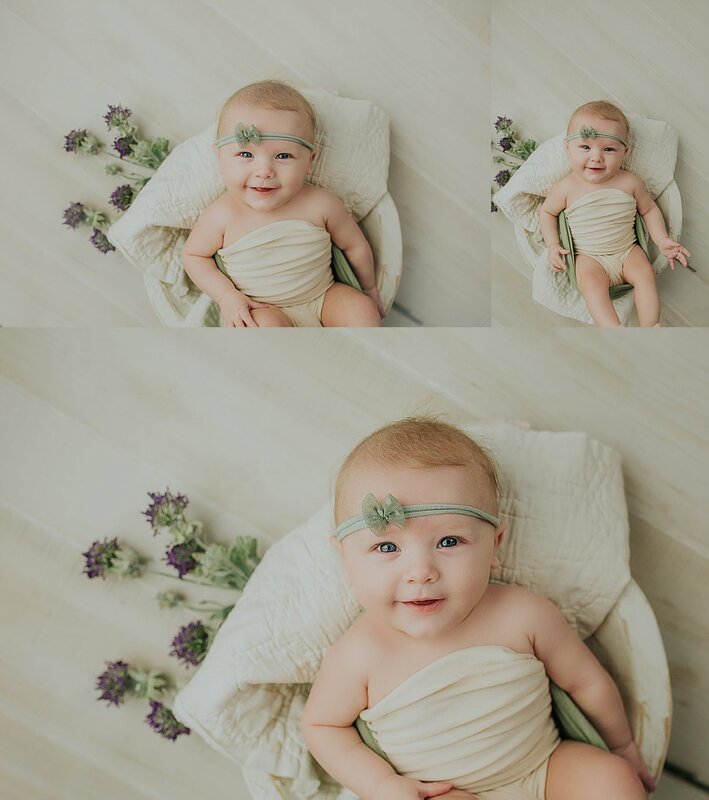 They also carry wraps and matching layers that are unique in both color and texture, which is any newborn photographers dream. 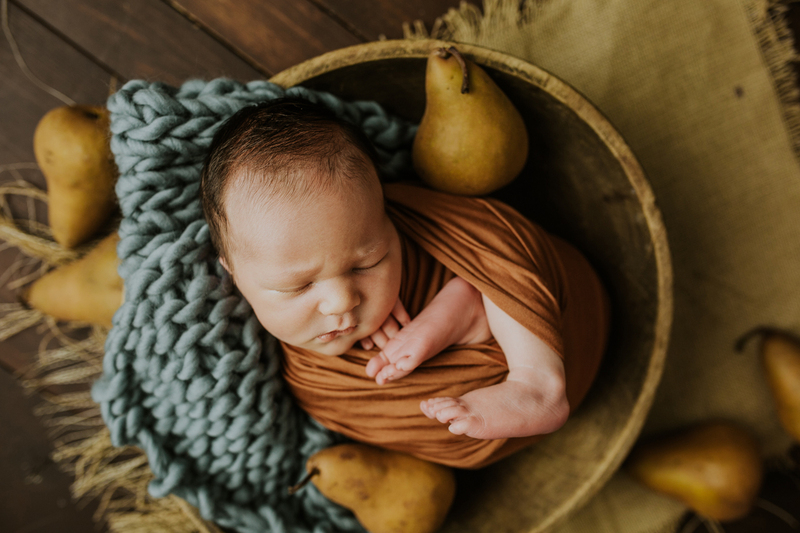 Part of the newborn photography craft is finding your own one of a kind items to use during your sessions. I have ALWAYS been a huge thrifter, I’ve found so many gems in the junk and some of those gems make their way into the studio. I have a handful of small town antique stores that I visit on spirited whims, and they are usually run my little old ladies with shops filled with decor and outfits from the early 20s. The amount of beaded clutches and fur coats I have made myself put back is unreal. One of my favorite items of all time is an antique pear fruit box that was for picking and loading pears in Placerville, California. I looked up the the company name that was on the box, and sure enough they are still open today! The owner loved the image and thought it was fun that one of their crates ended up here in Indiana. And there we have it! 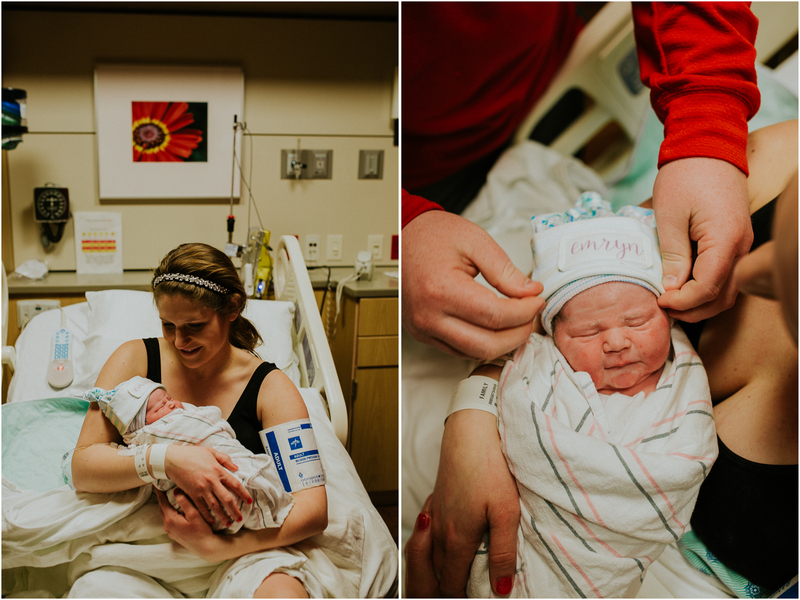 Those are my Friday Fives for newborn photography props. See you next week for Friday Fives, up next my top five favorite flowers! What. A. Sweetheart. Silas looks *just* like his big brother did as a newborn, only a few short years ago. 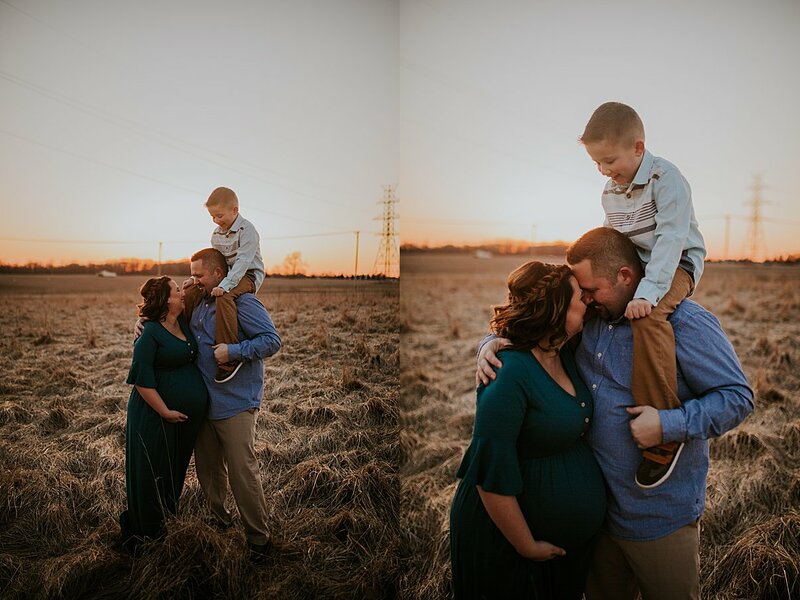 Silas’ parents were some of my first clients as a newborn photographer in the Kokomo area which made this session that much sweeter. 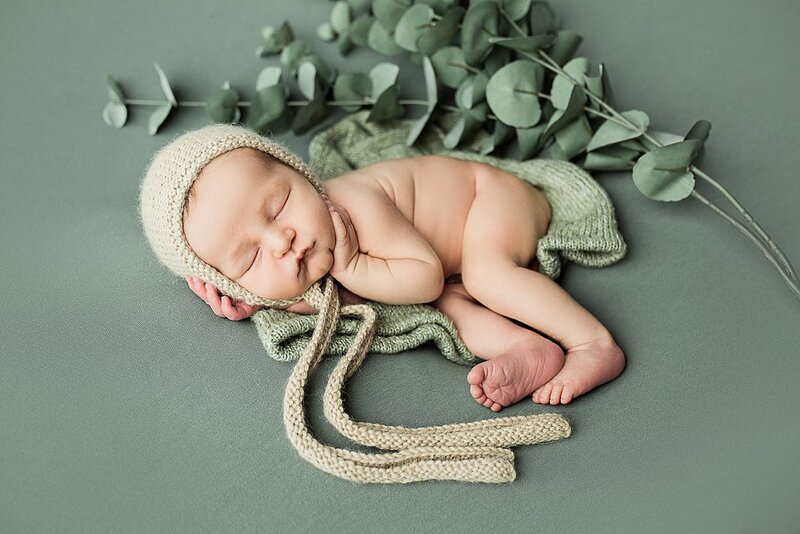 His mama decided on some spring colors with a mix of greens as well as this ADORABLE hat with his little name embroidered on the top. 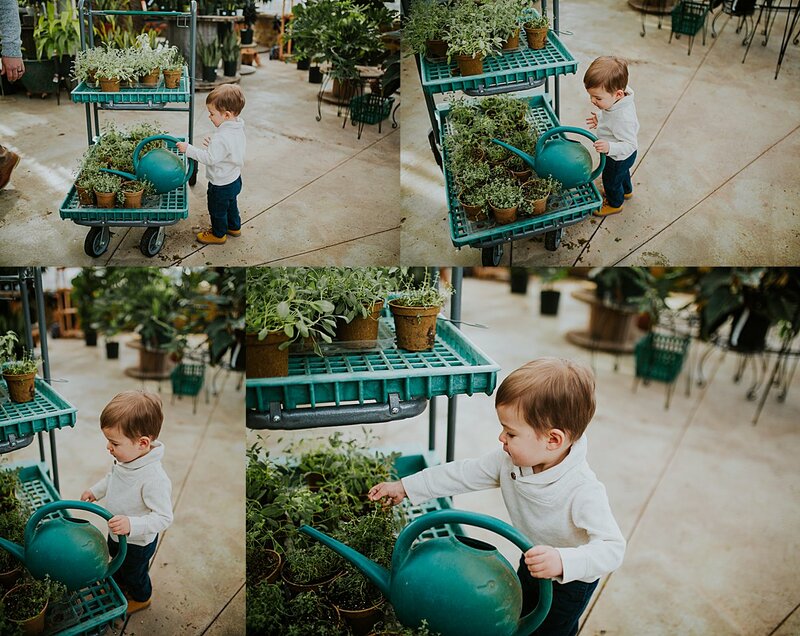 I loooooved the setup that I did a couple weeks back with some fresh herbs and I knew I wanted to do something similar for Silas’ session. I had just gotten my hands on some succulents and an aloe plant from IKEA, as well as a couple cute faux concrete succulents from the Target dollar section and they worked perfectly. They brought out some beautiful skin tones on him with a fresh springy look. 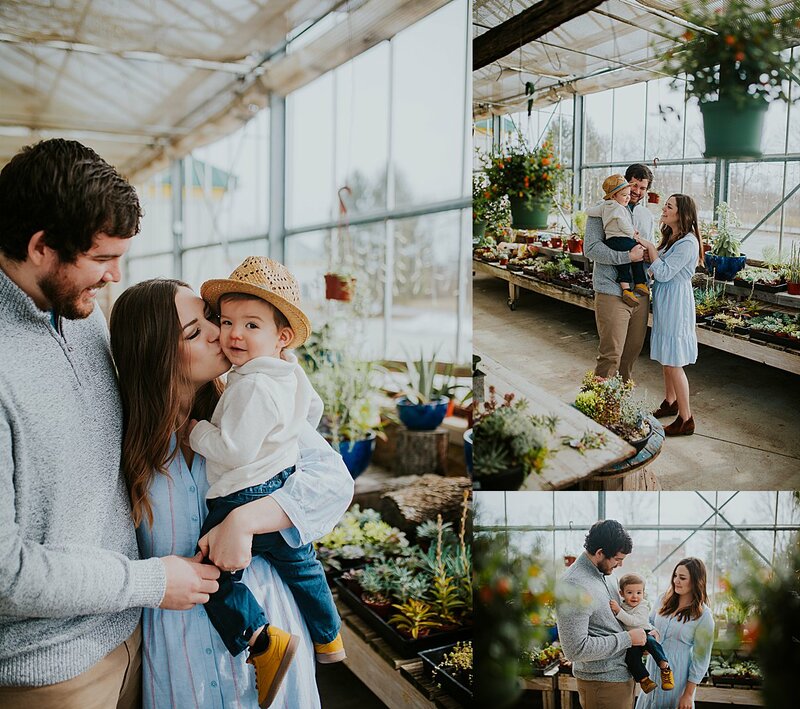 I can’t choose a favorite from these setups, betweens the greens, the succulents, and the little hat, there was a lot of cuteness going on. See some of my favorites below! 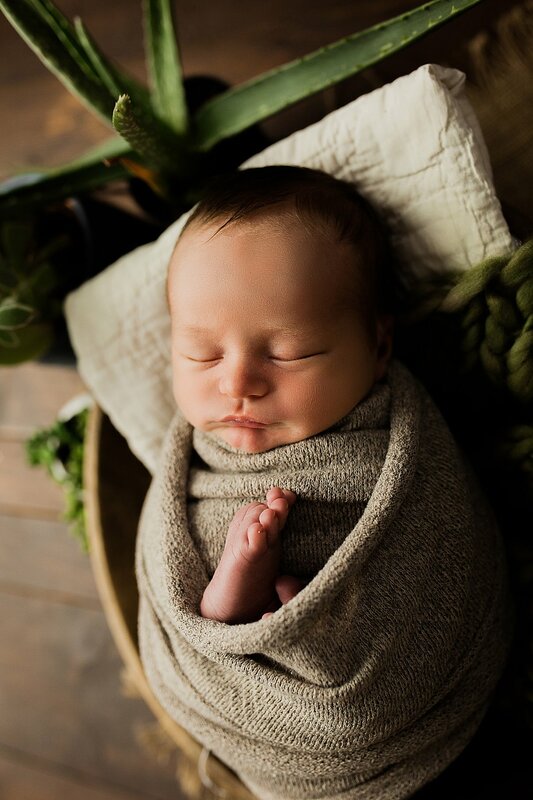 If you are interested in booking a newborn photography session, feel free to contact me here or email me at jessicabnewton@gmail.com. 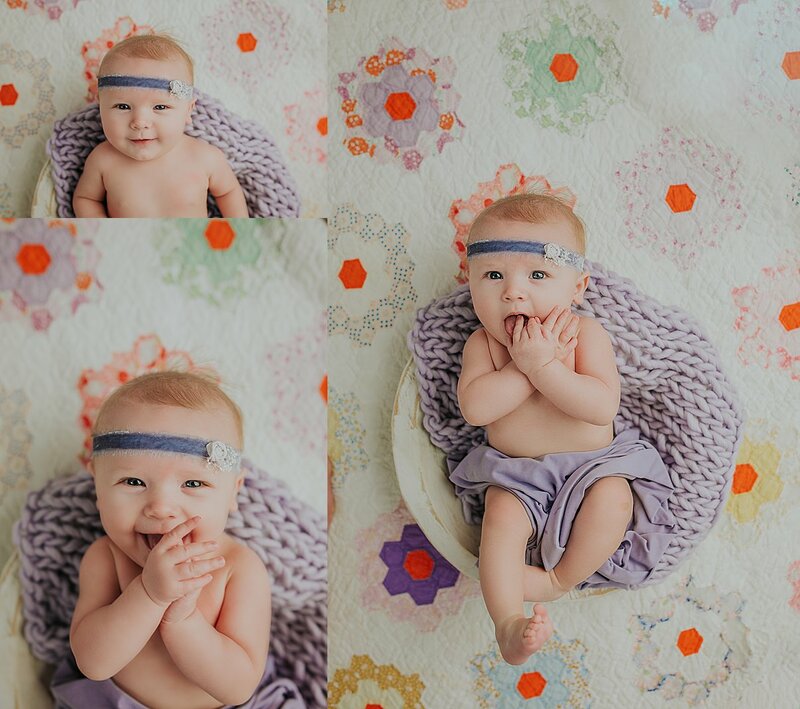 Isn’t Maylee just the cutest name? I remember her mama sharing her name with me for the first time and it’s now something that reminds me of a happy smiling face. Maylee is just full of joy, even at such a young age. Everything is right in the world when she’s around and her eyes just gleam with happiness! 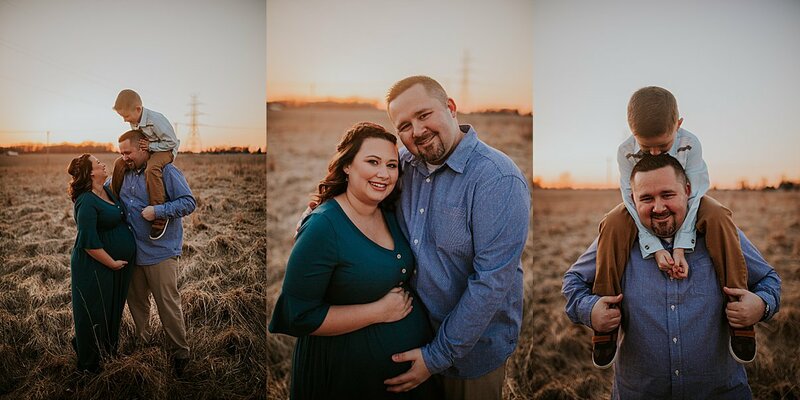 Here are some of my favorites from her studio session in Kokomo Indiana last month. If you want to book a session of your own, contact me anytime! I’m happy to answer questions and to discuss booking info. 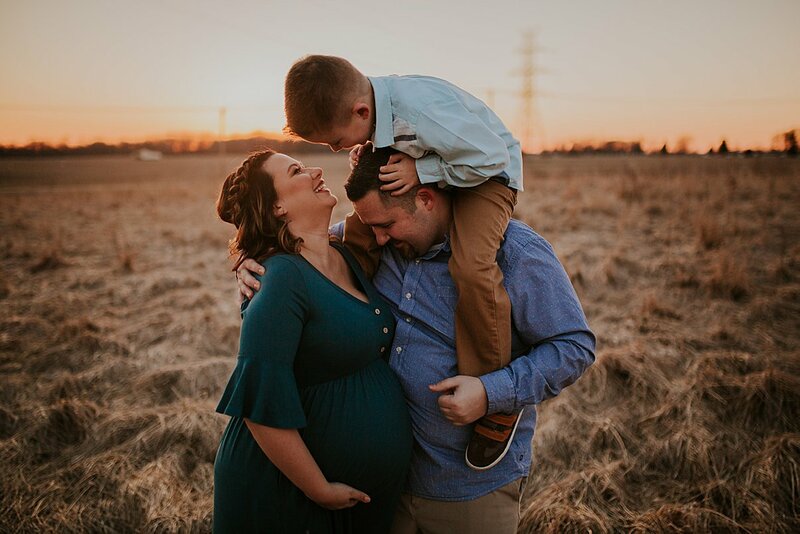 Our base studio is located in Kokomo Indiana but we work with clients all over, including Lafayette Indiana, Indianapolis, Carmel, Fishers, and all the rest of Central Indiana’s residents. Happy spring! Last year I got to meet Romelo for the first time. He was an itty bitty thing at just 3 months old and now he’s all grown up. A head full of hair and the most beautiful brown eyes, and the cutest personality on the block.